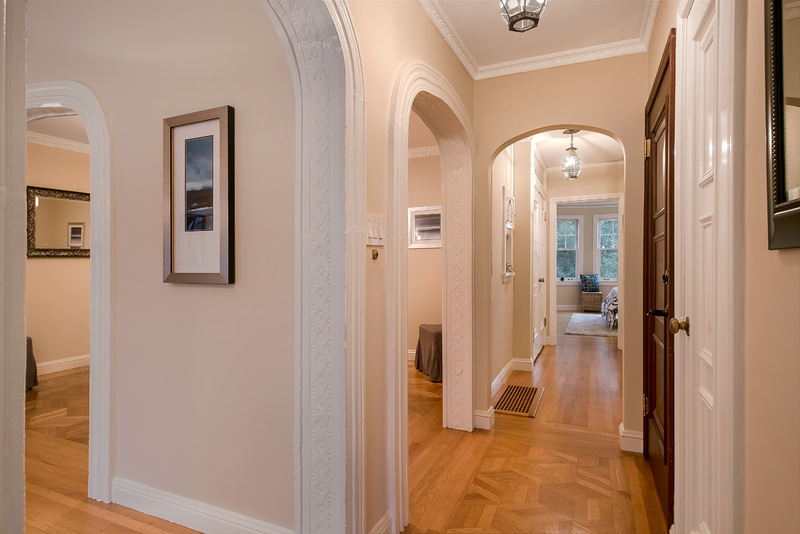 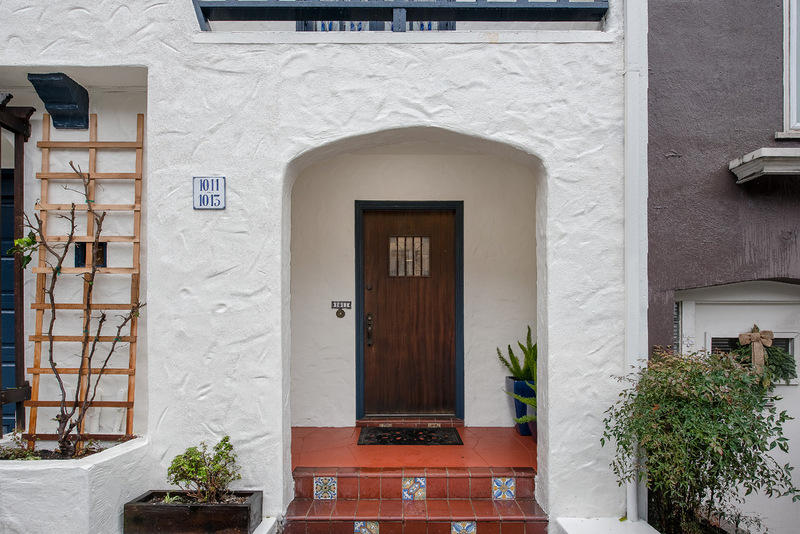 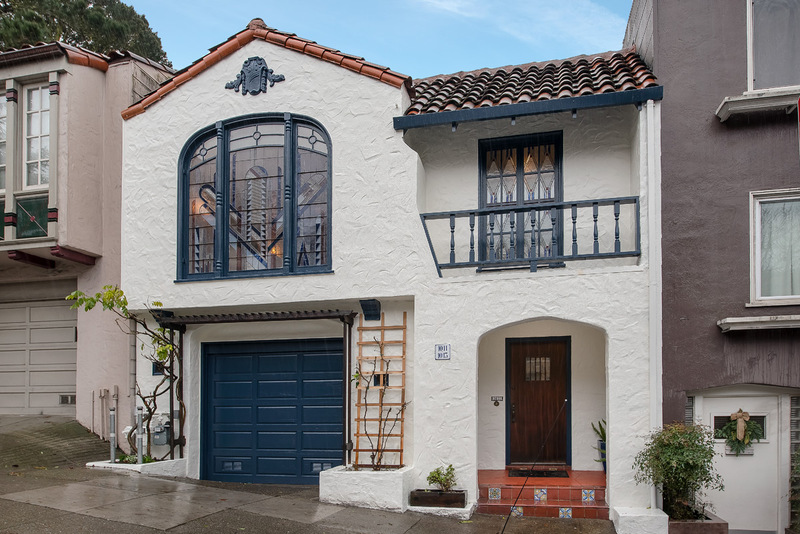 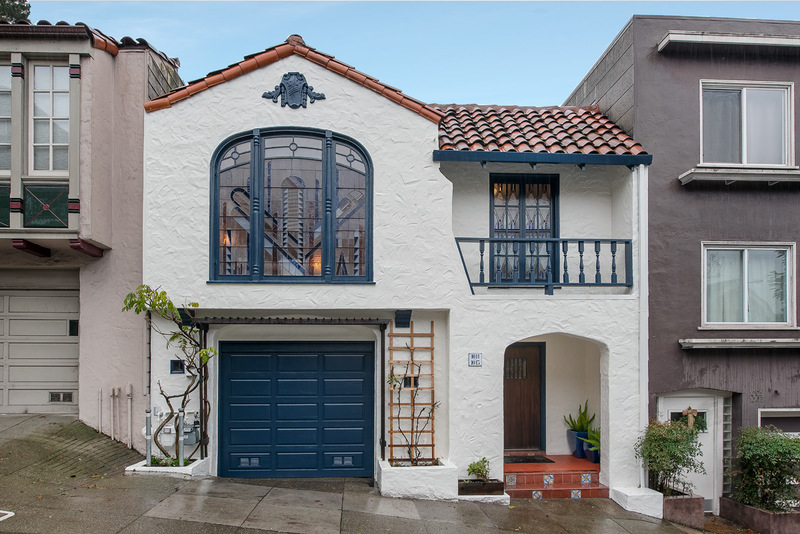 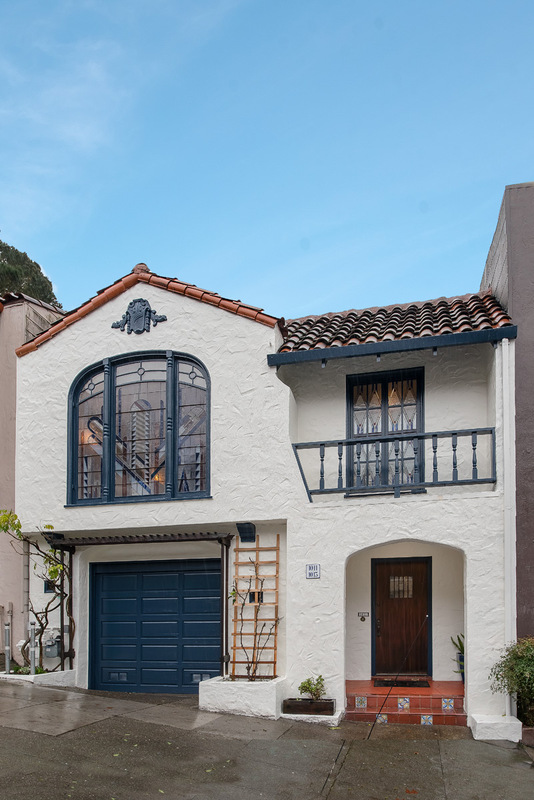 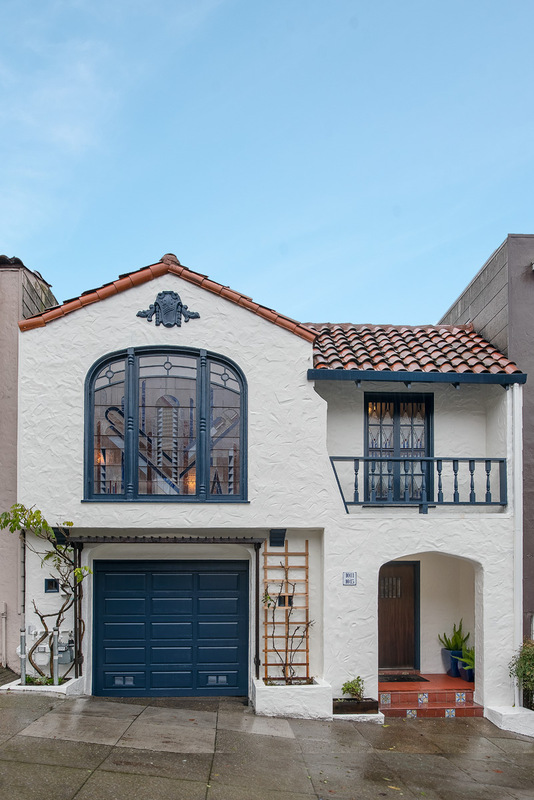 Welcome to 1011 Clayton, a Spanish Mediterranean Condo built in 1933 and beautifully renewed in 2008. 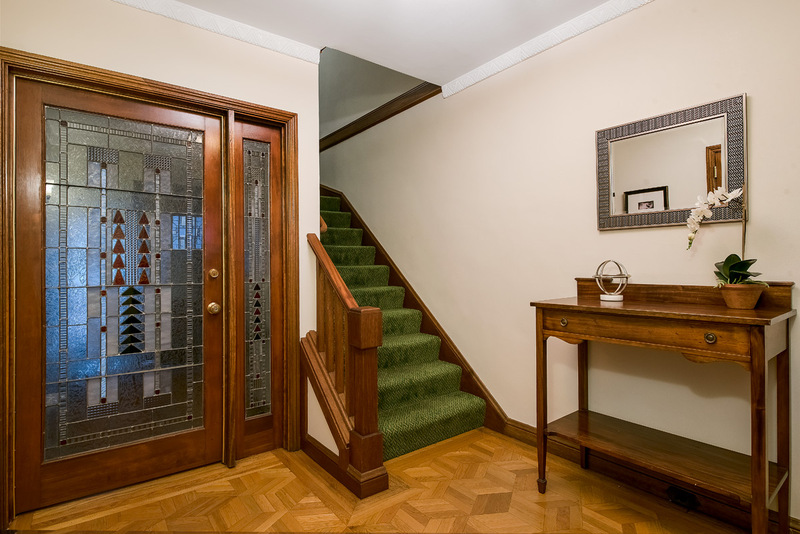 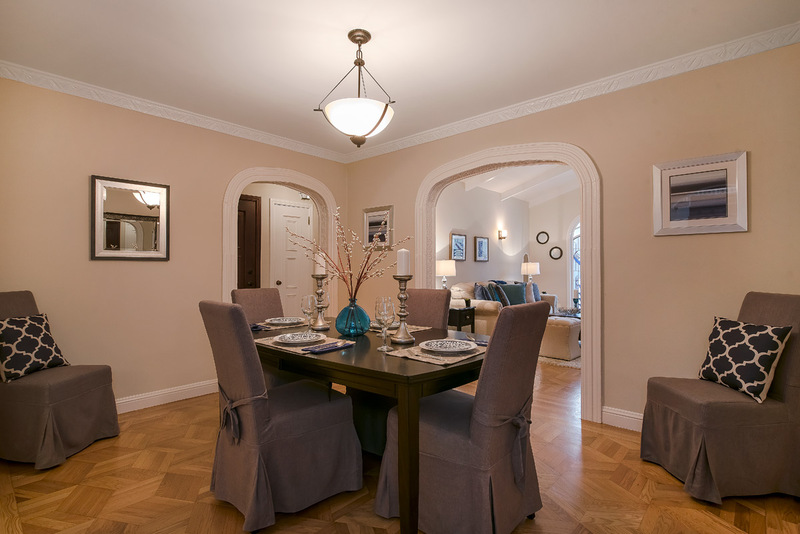 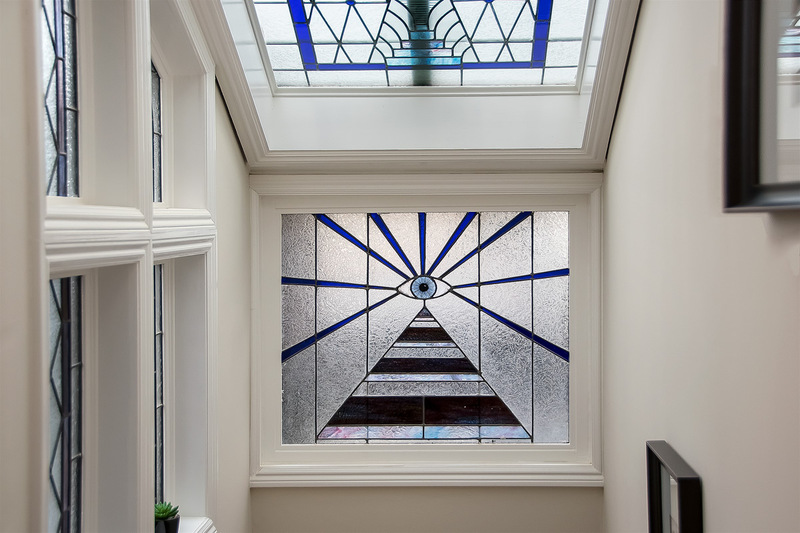 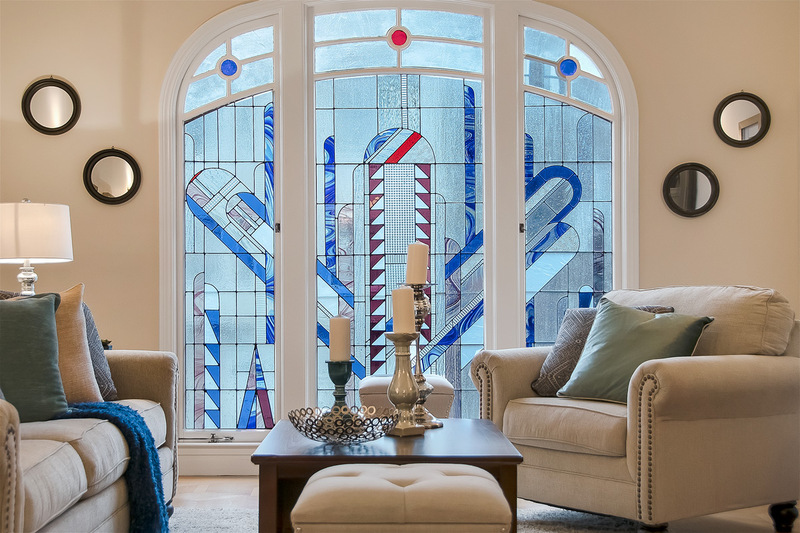 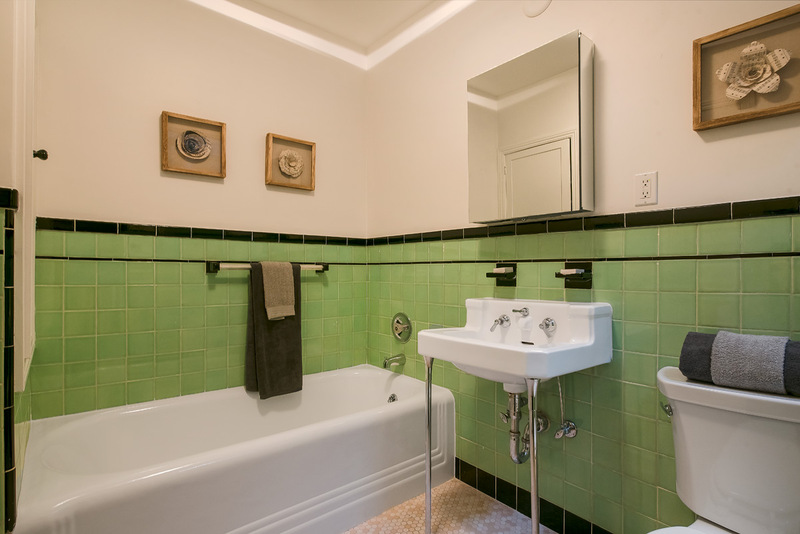 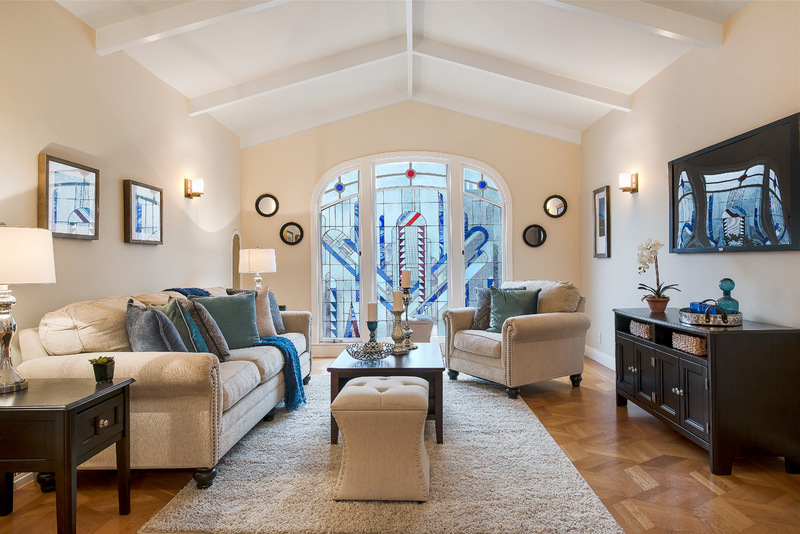 Stunning top floor/two level condo in a 2-unit building comes well-lit w/ some strikingly custom built stained glass windows, detailed crown molding & refinished Oak hardwood floors. 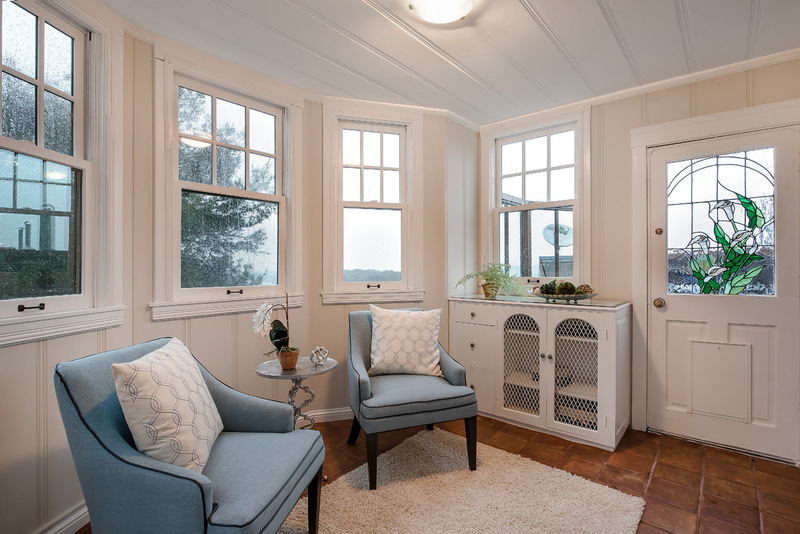 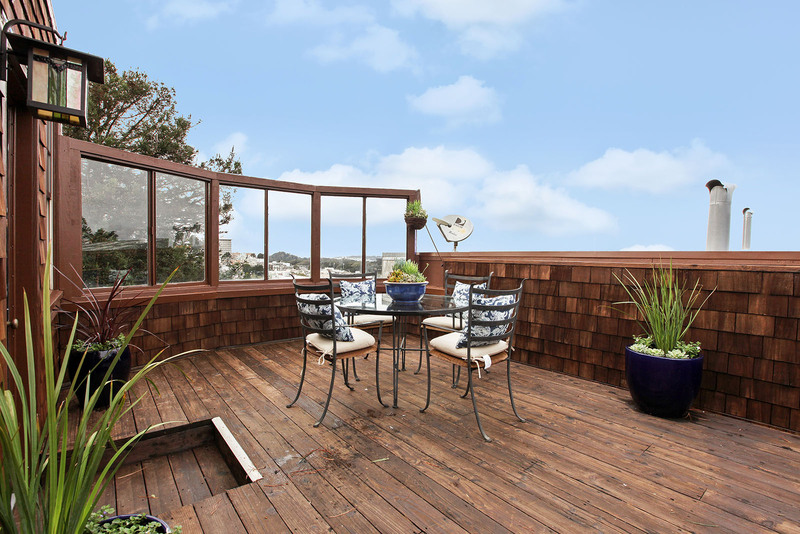 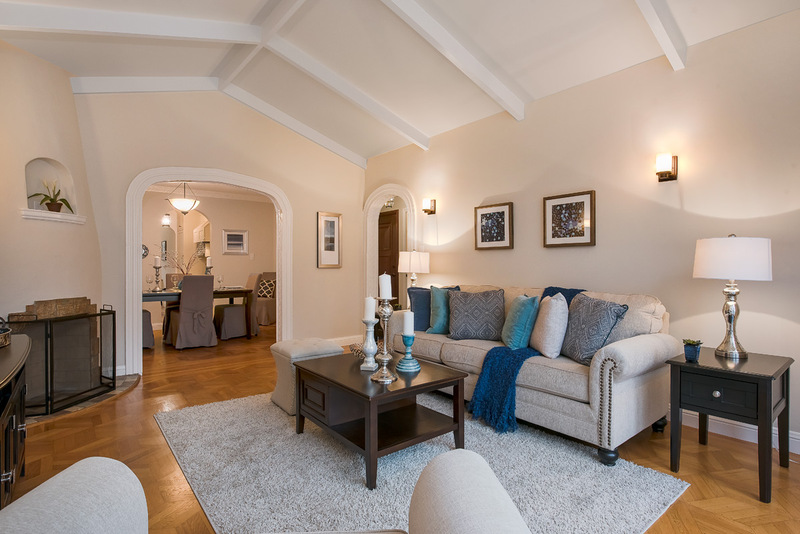 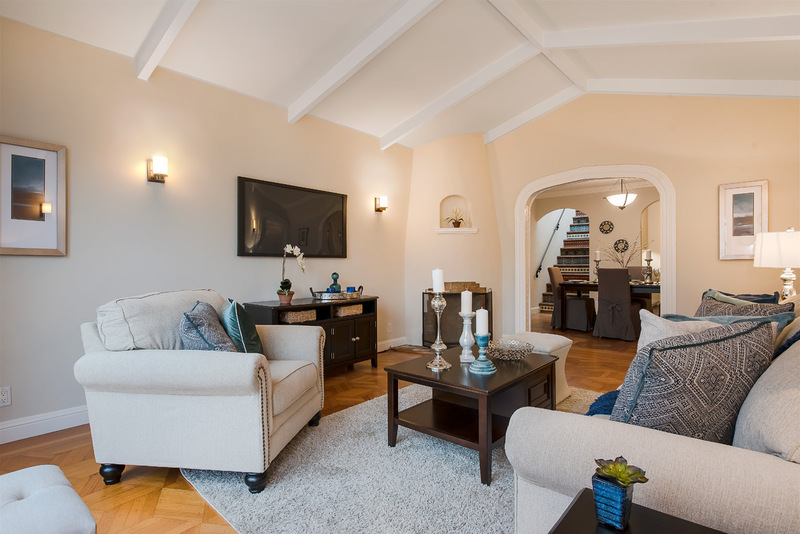 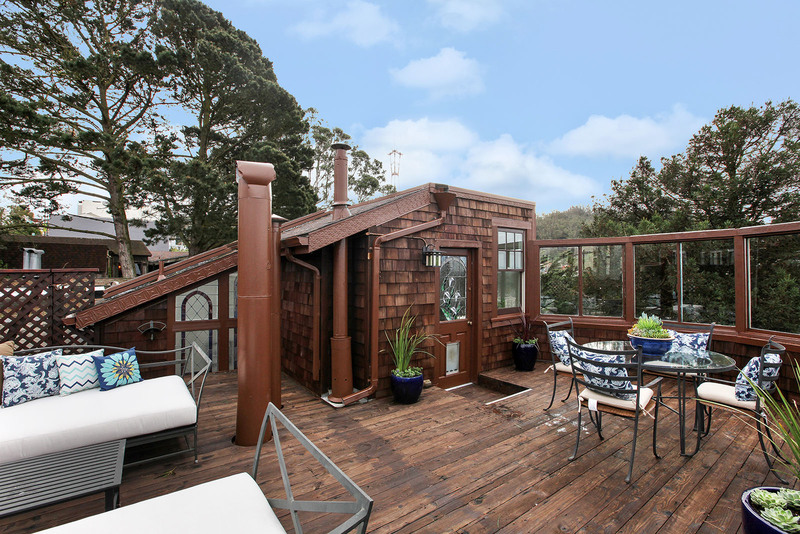 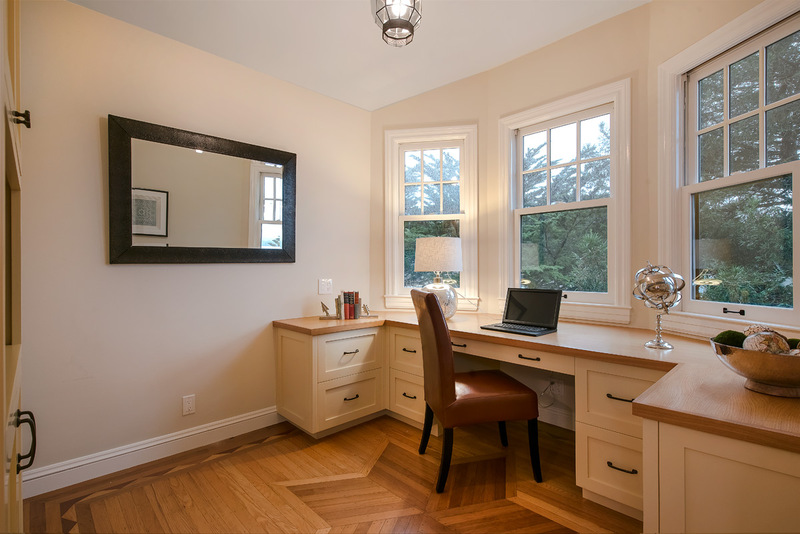 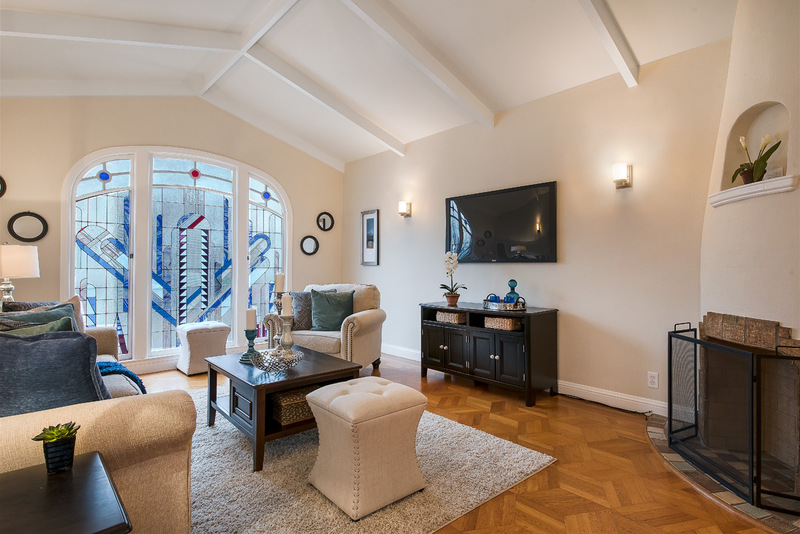 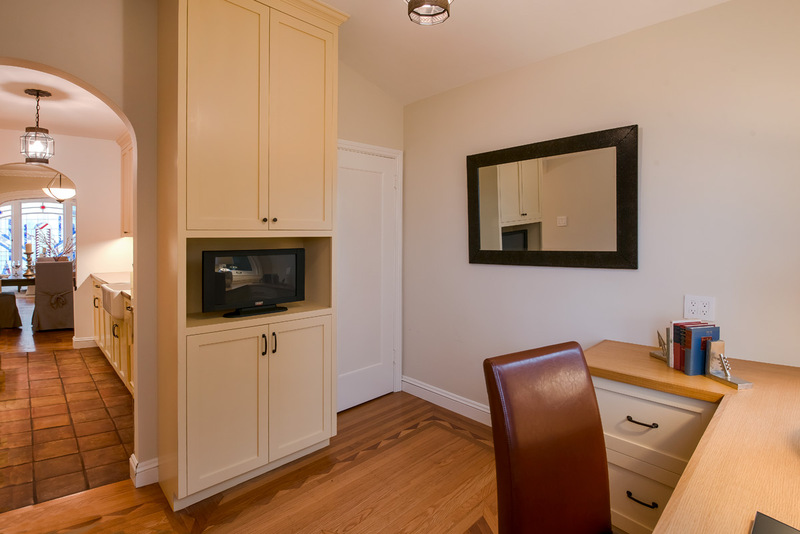 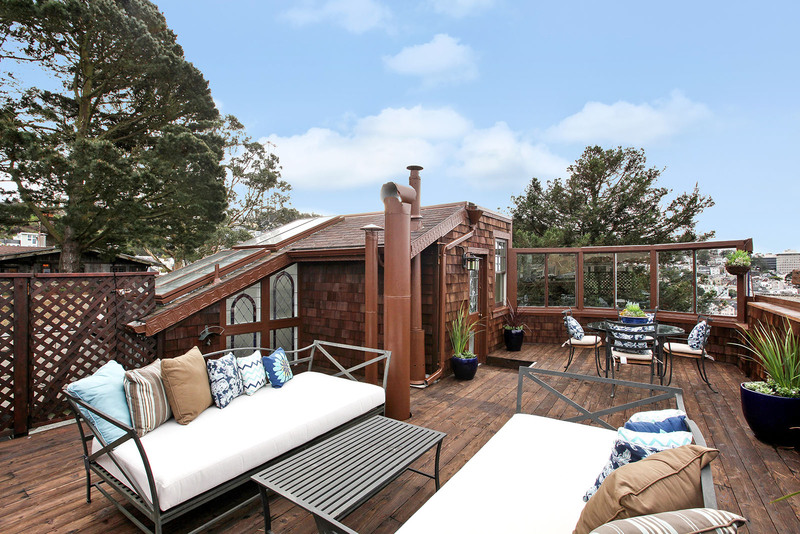 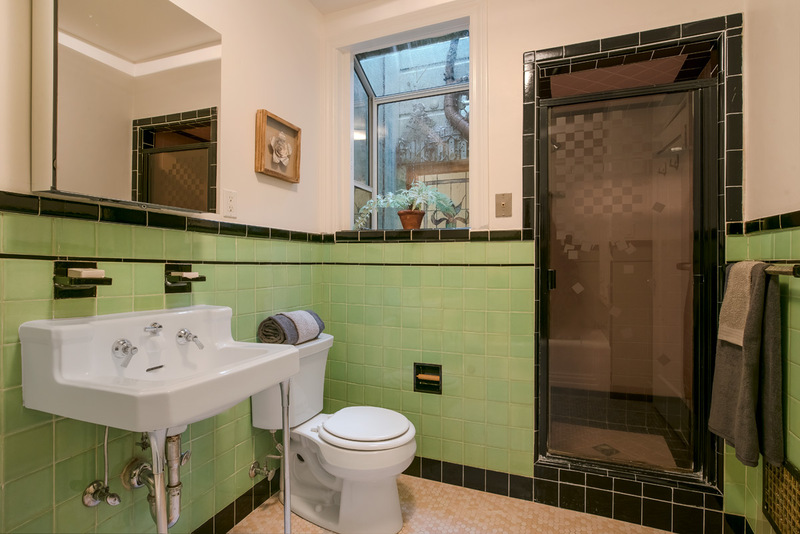 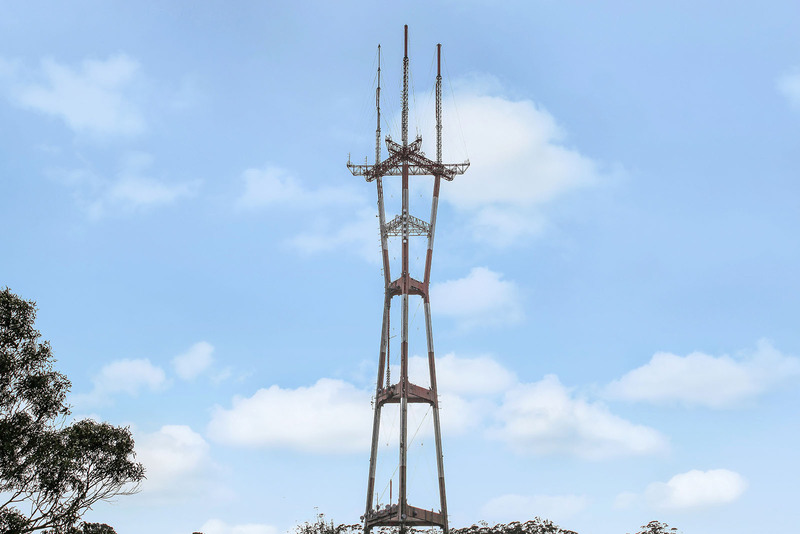 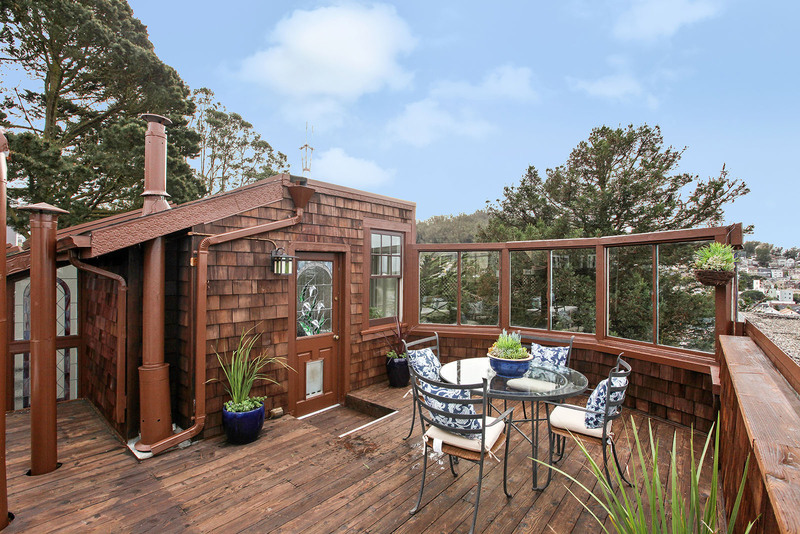 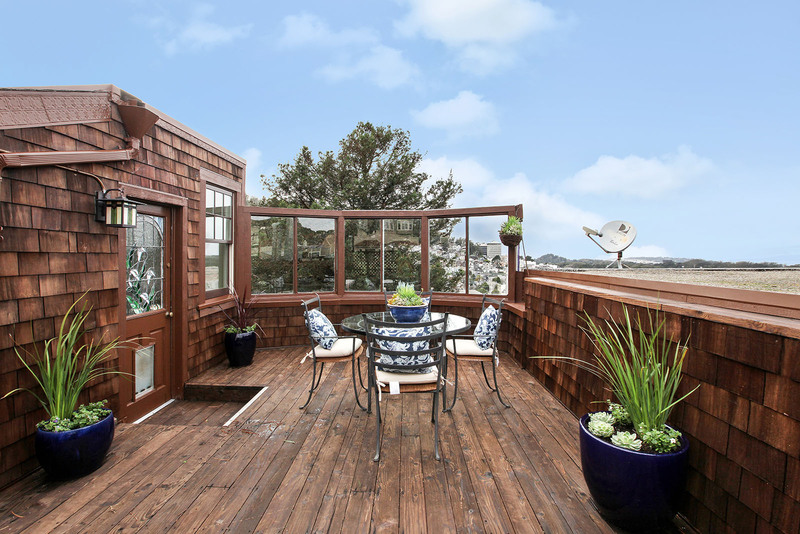 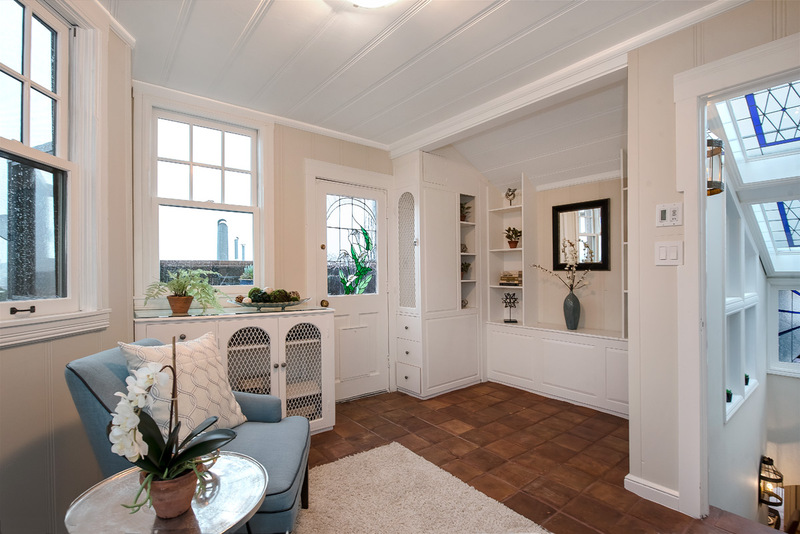 2 beds, 1 bath, office, dining room, living room, sun-room w/ heated floors and a large roof deck w/ jaw dropping views of Cole Valley, the Marin Headlands, Pacific Ocean, and the two towers of the Golden Gate Bridge. 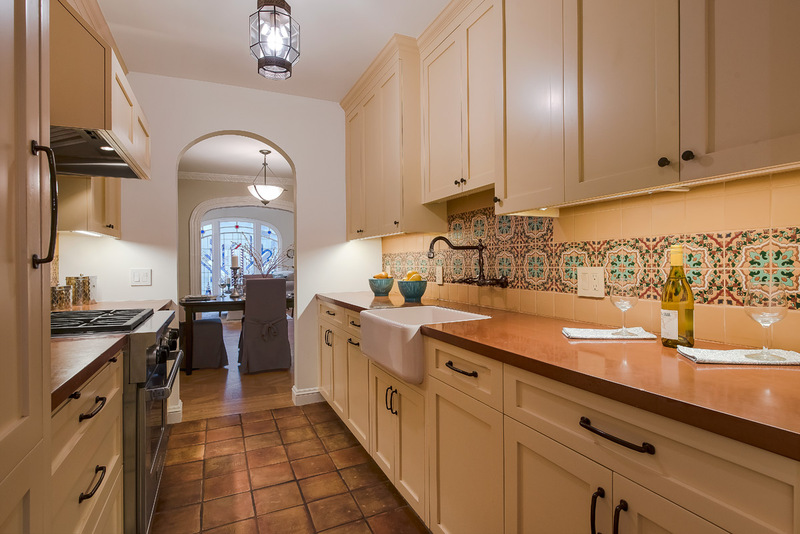 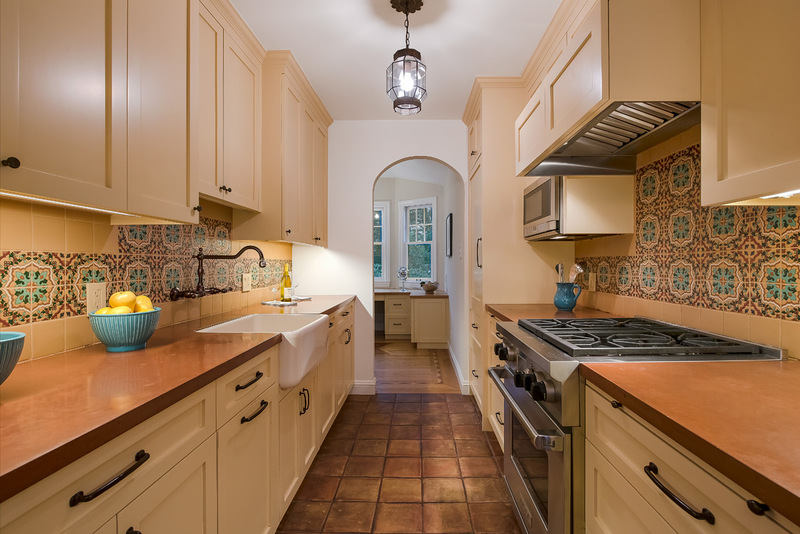 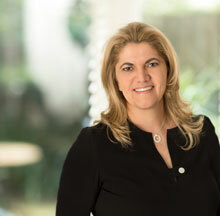 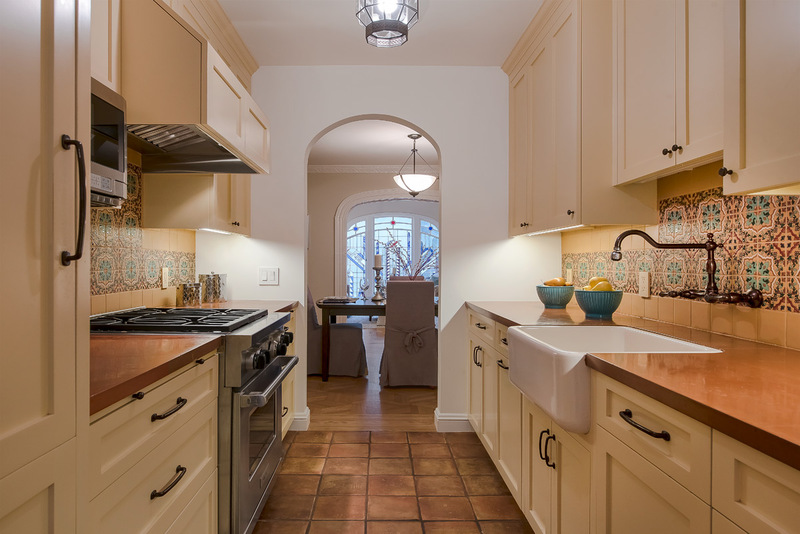 Other stunning features include custom built Mayta Jensen kitchen cabinets w/ under cabinet lighting, 2 stainless steel cutting boards, custom handmade Santa Barbara back-splash, handmade Spanish floor tiles, a Sub-Zero built-in refrigerator, Wolf gas range, and Miele dishwasher. 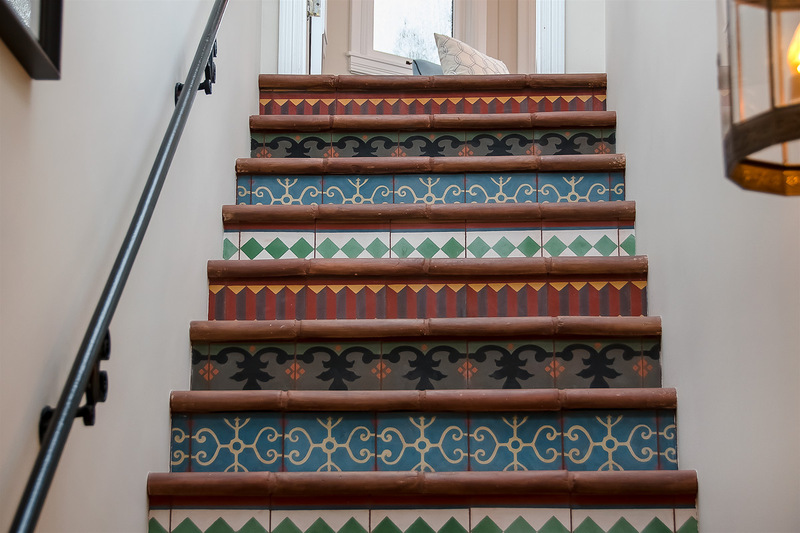 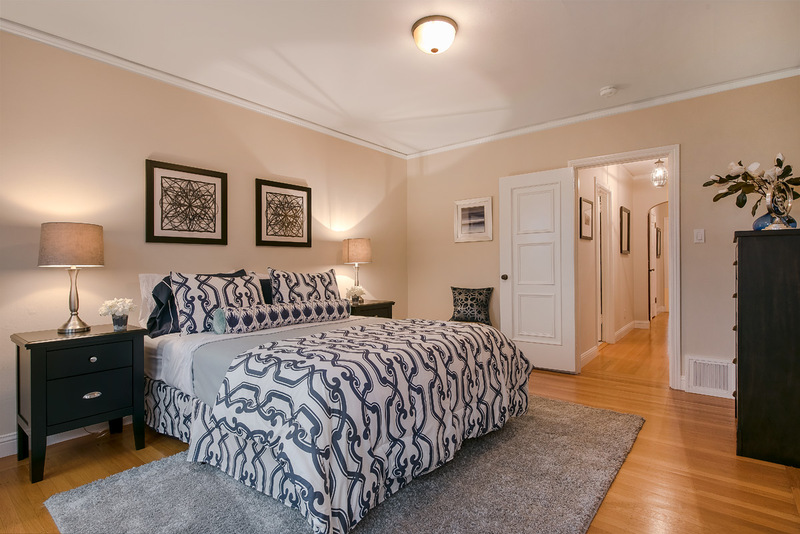 Additionally, there’s an interior staircase built w/ custom handmade encaustic Barcelona tiles, walk-in pantry, in-unit Miele W&D, a decorative fireplace, 1 car compact parking & storage. 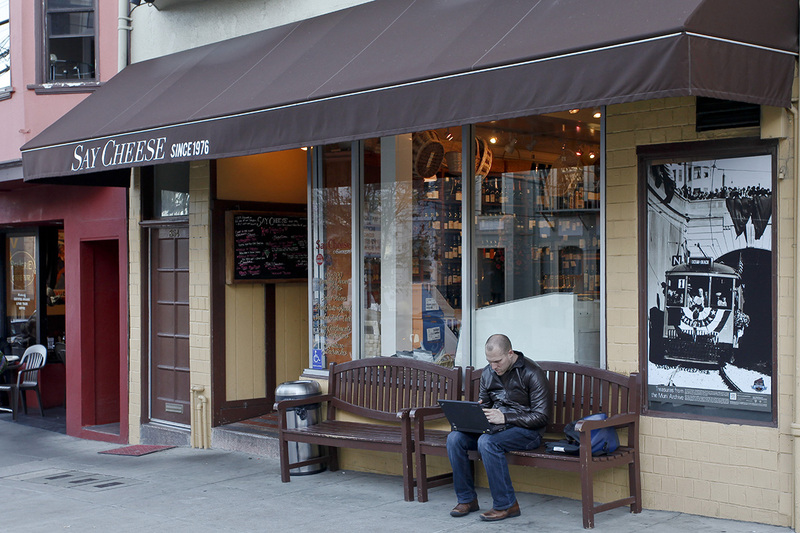 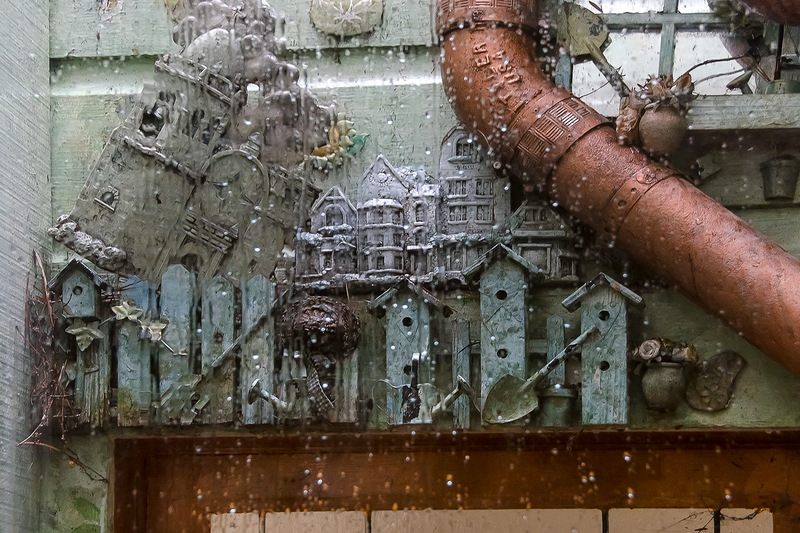 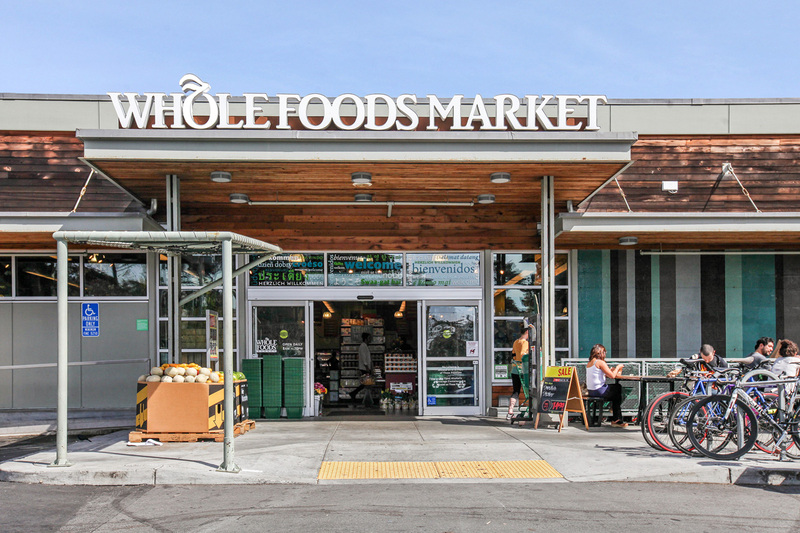 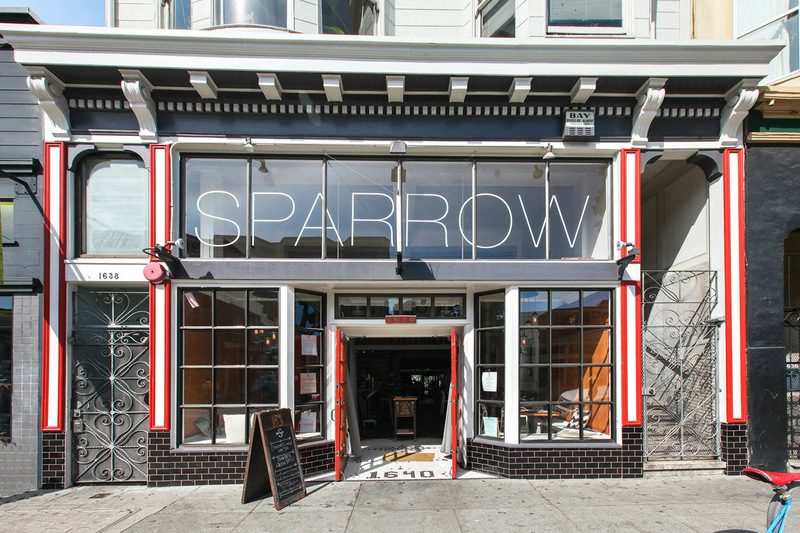 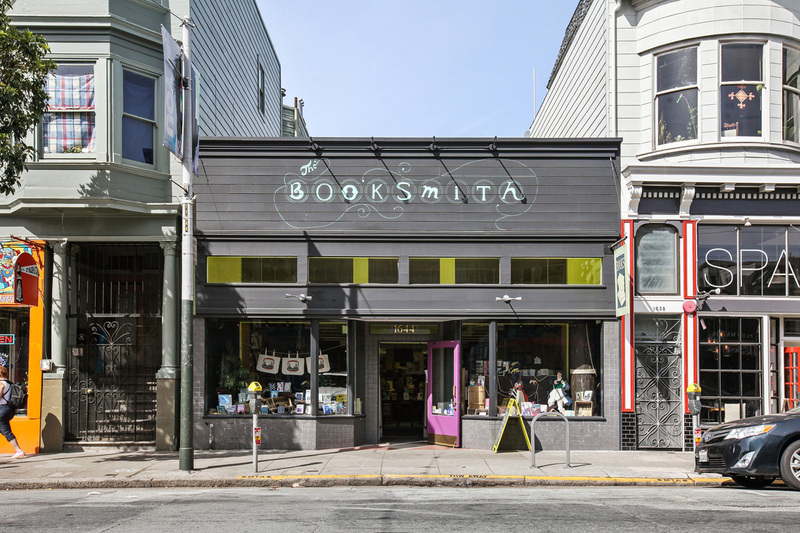 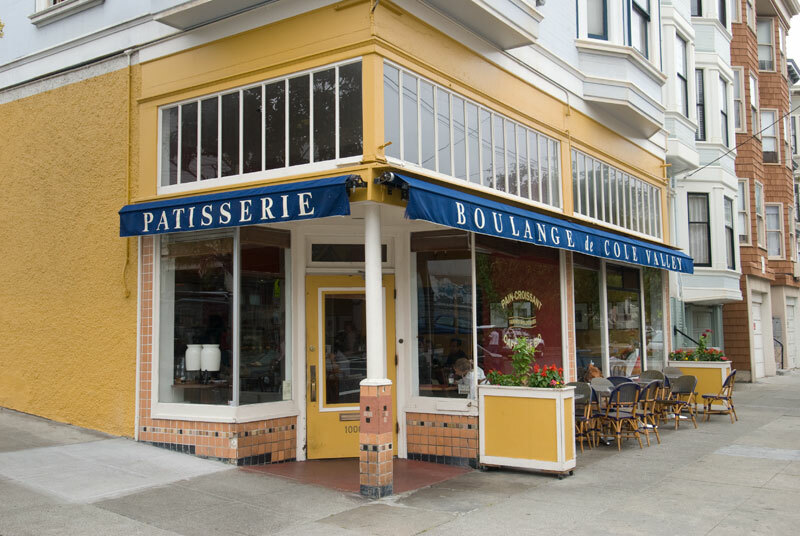 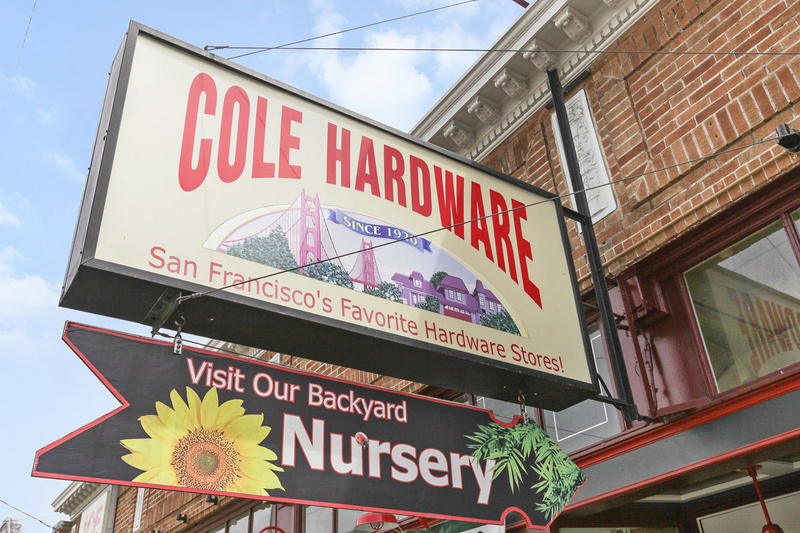 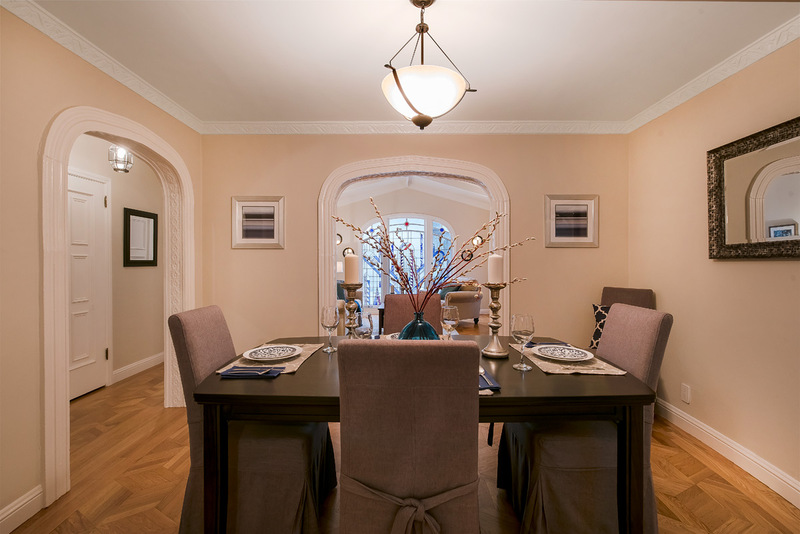 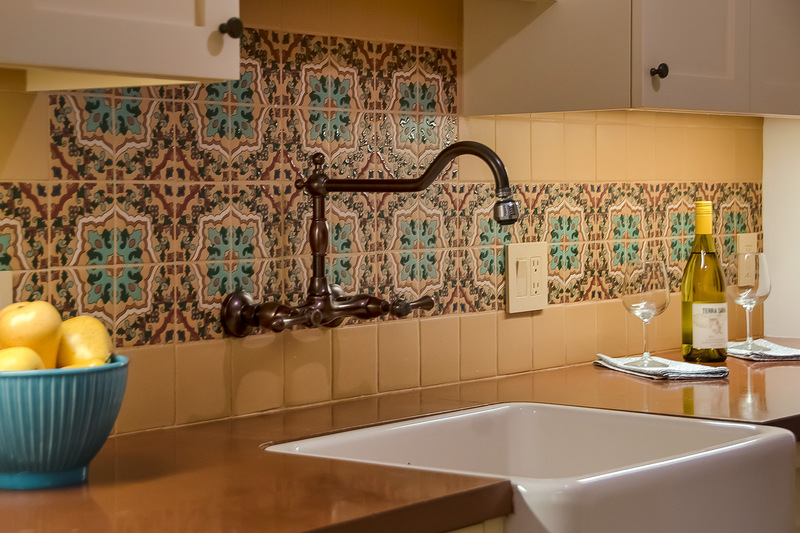 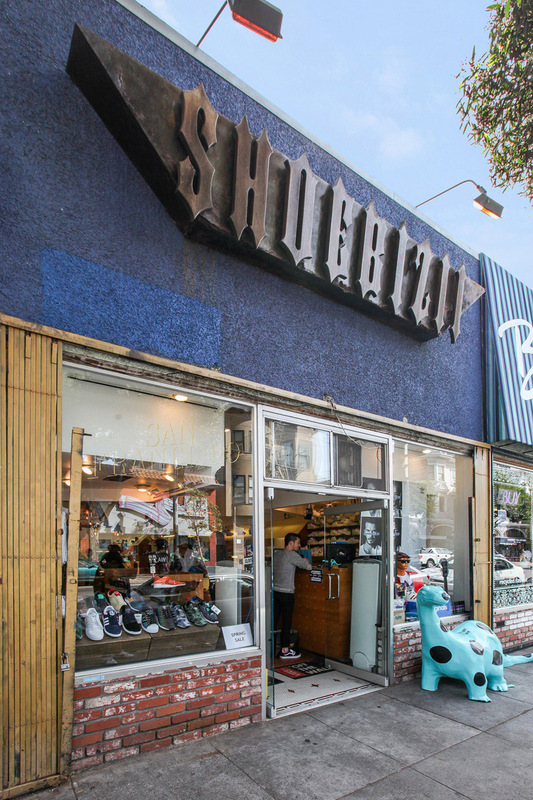 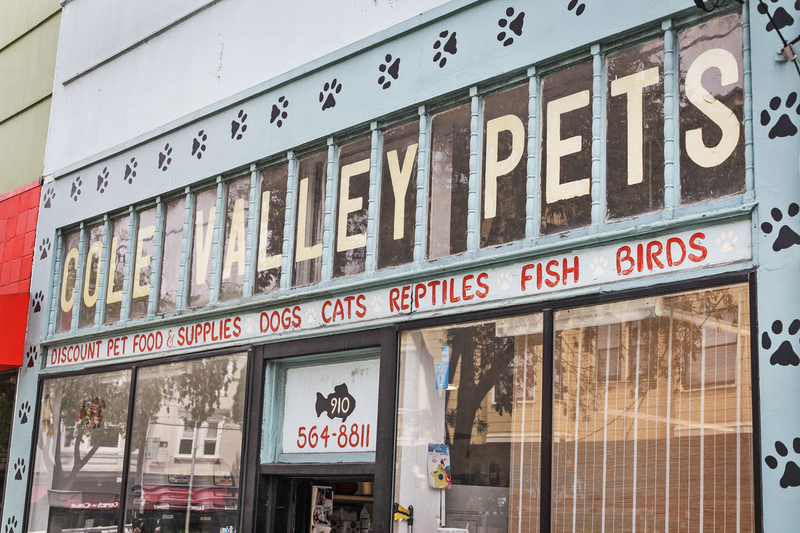 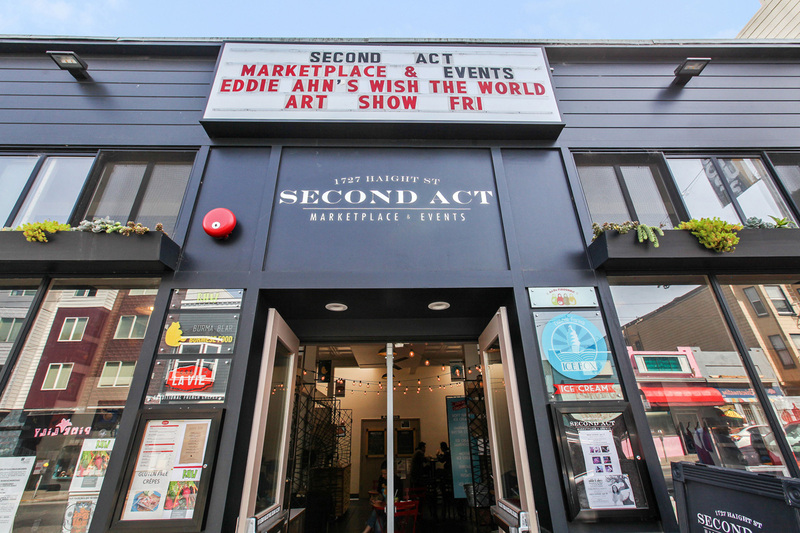 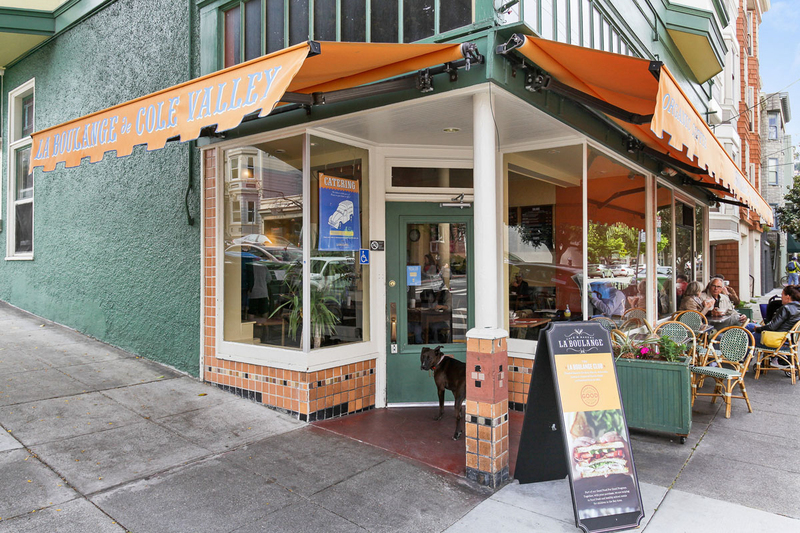 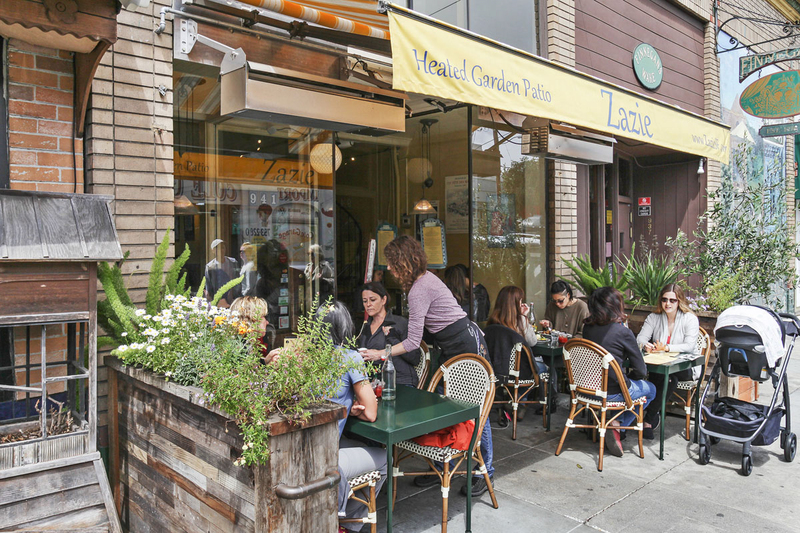 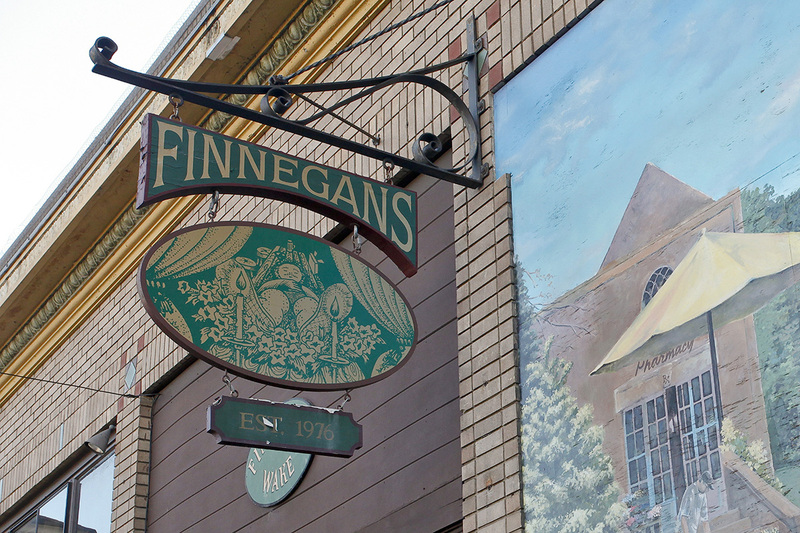 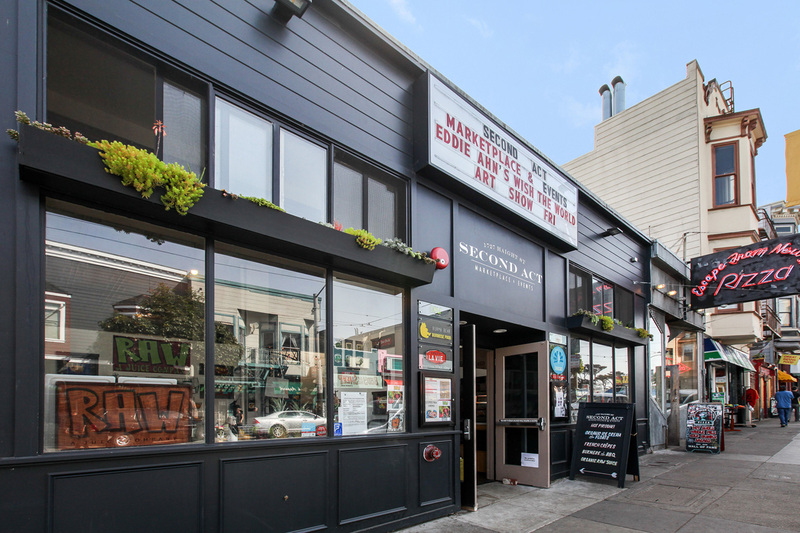 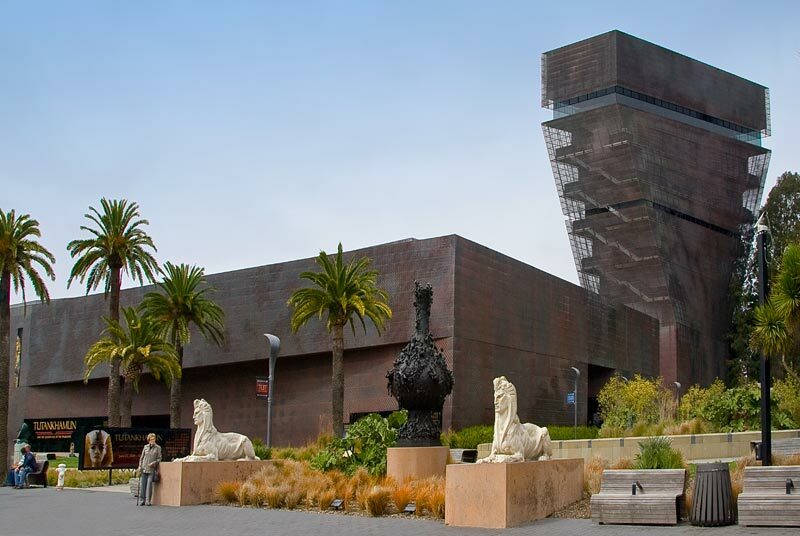 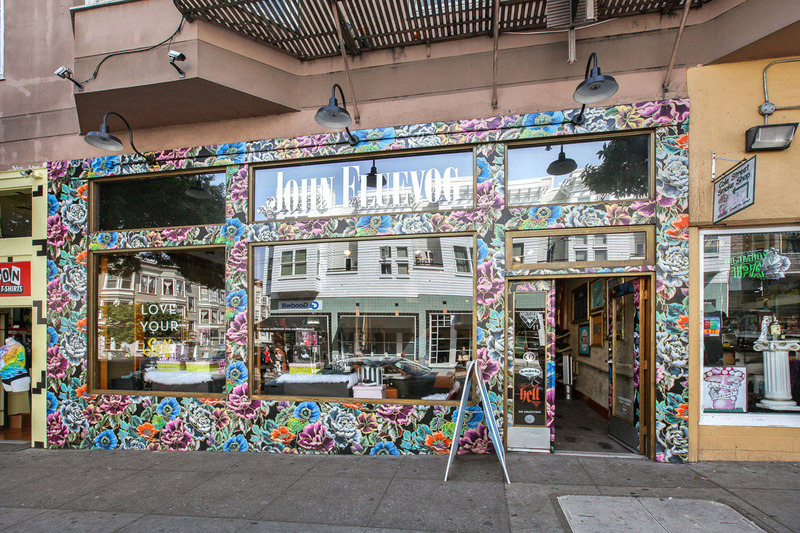 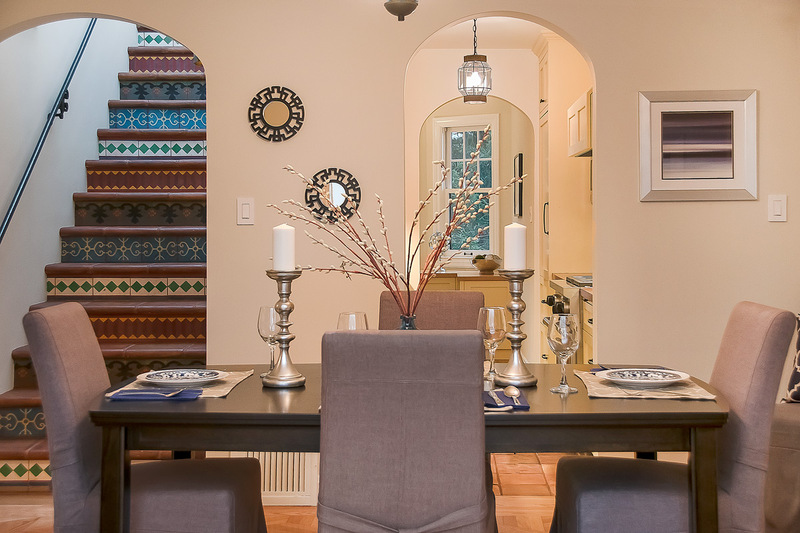 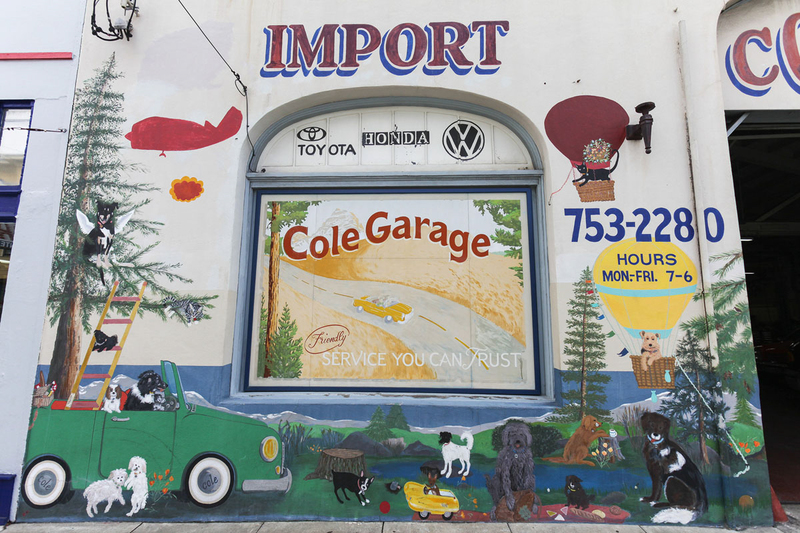 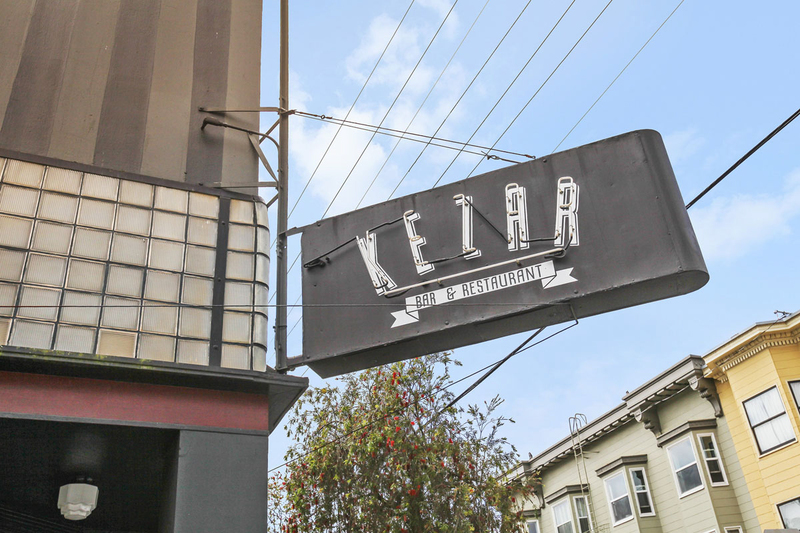 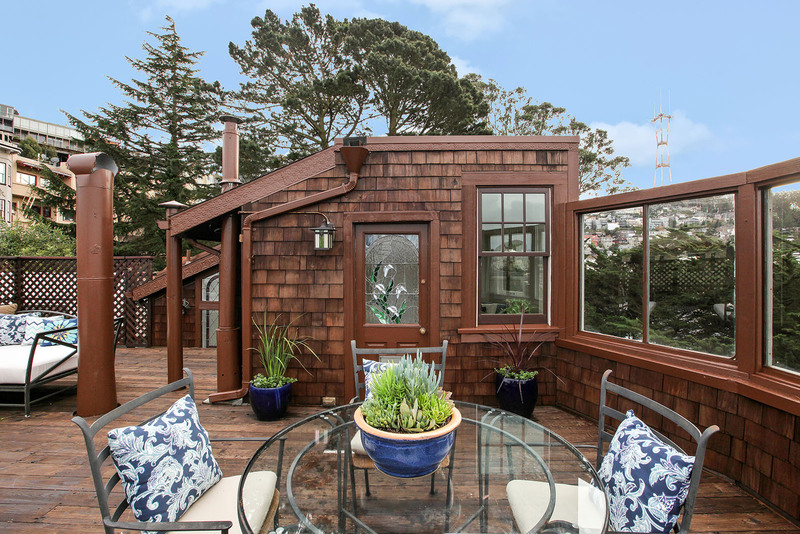 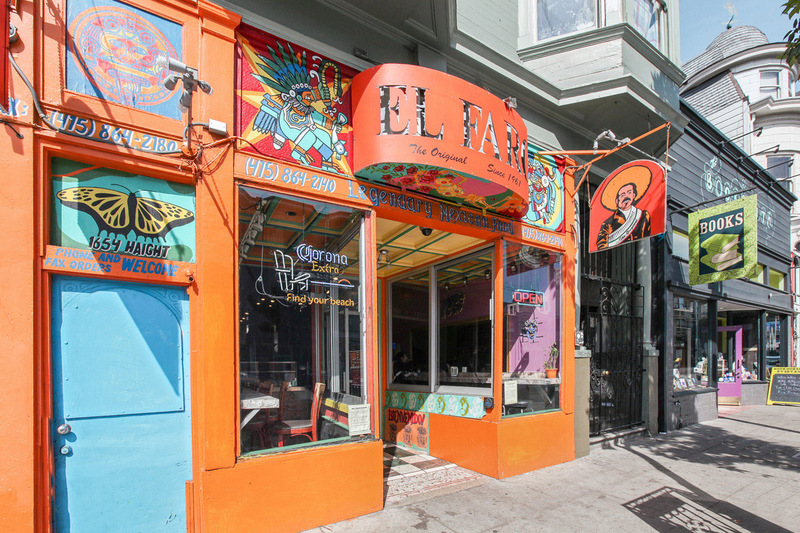 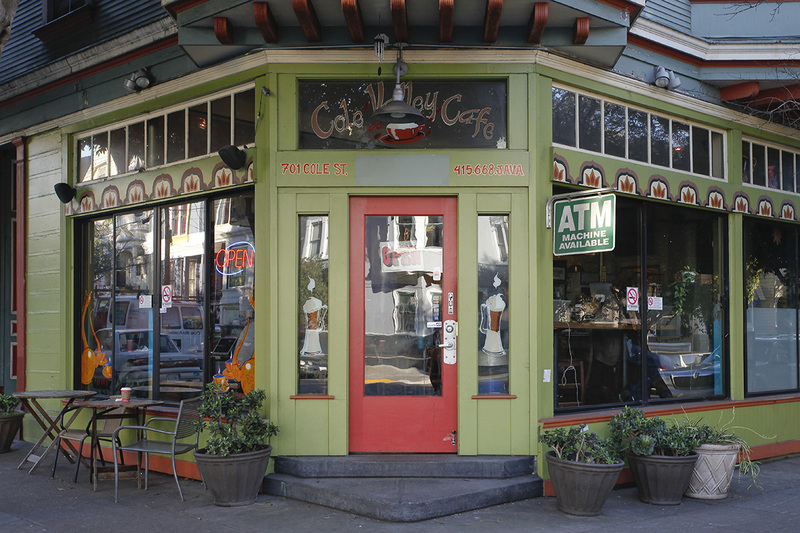 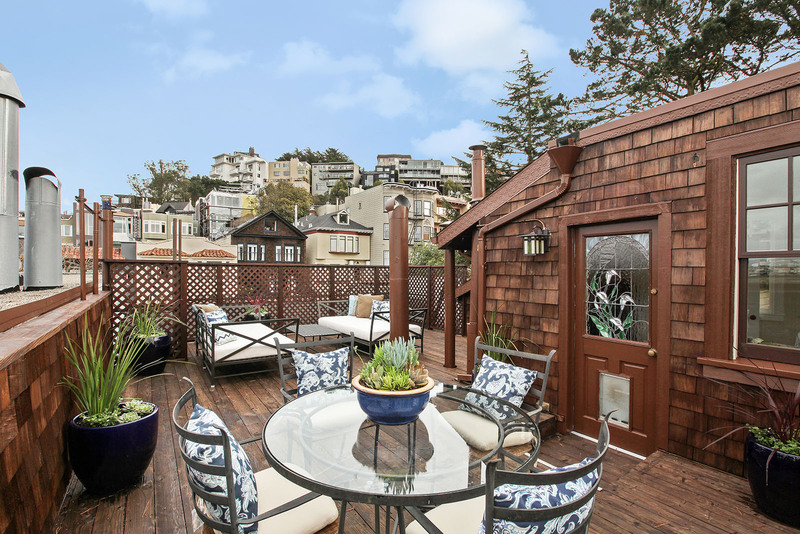 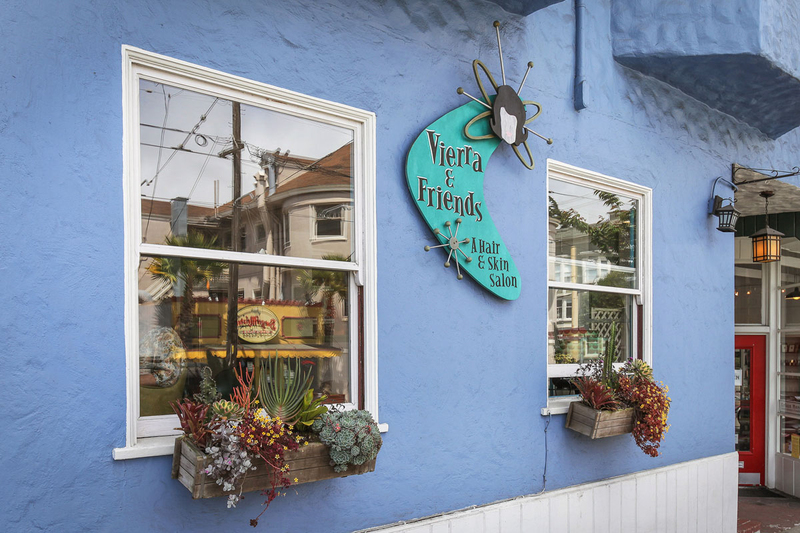 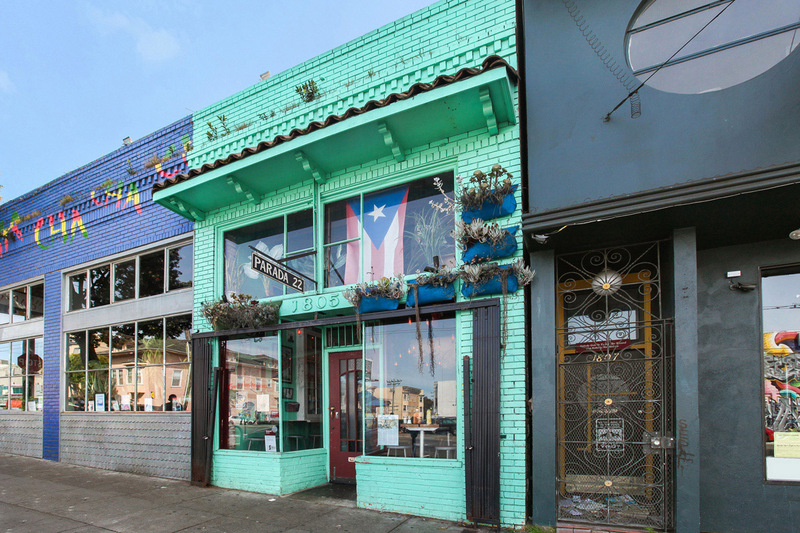 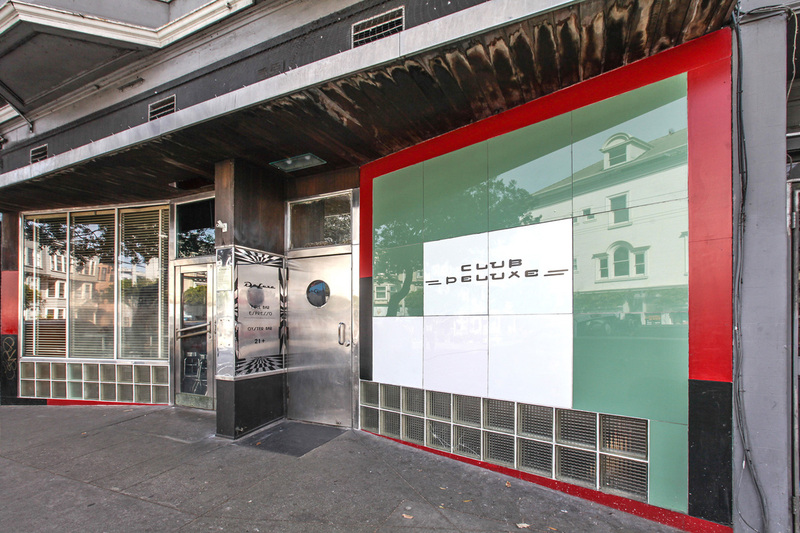 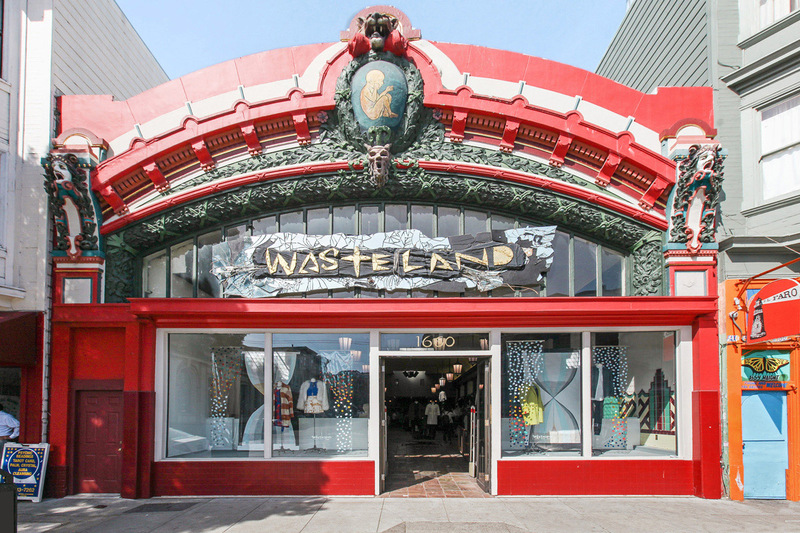 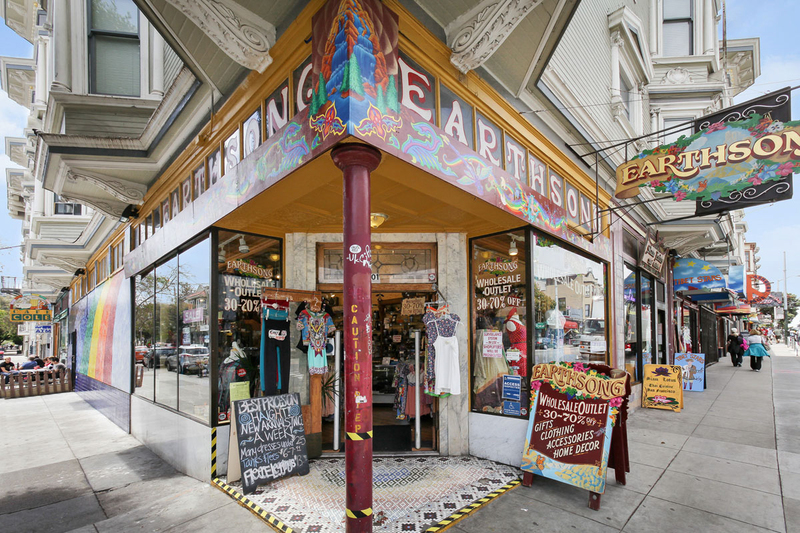 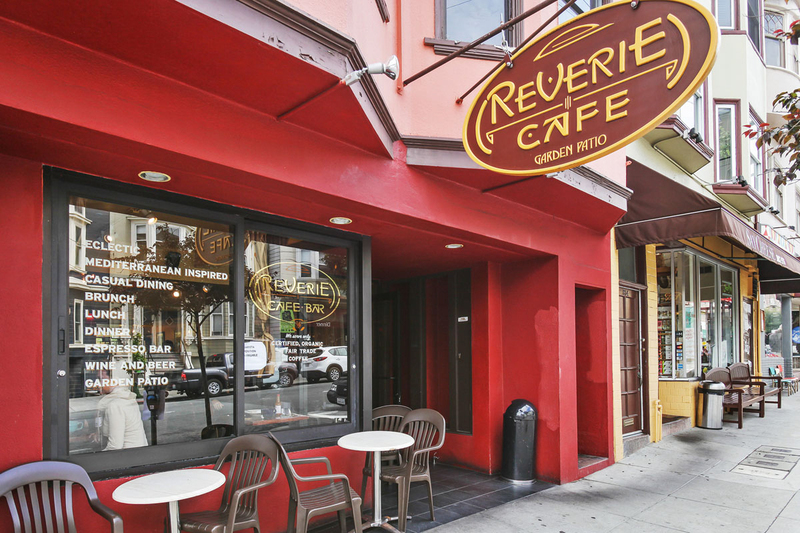 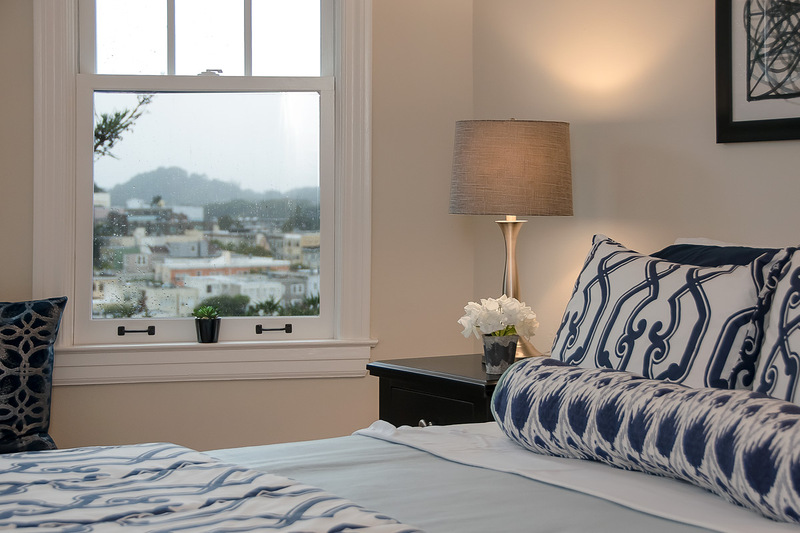 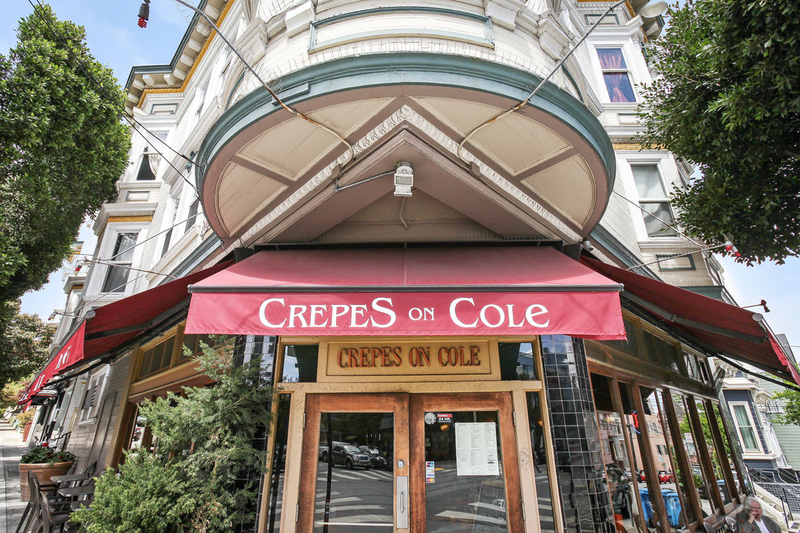 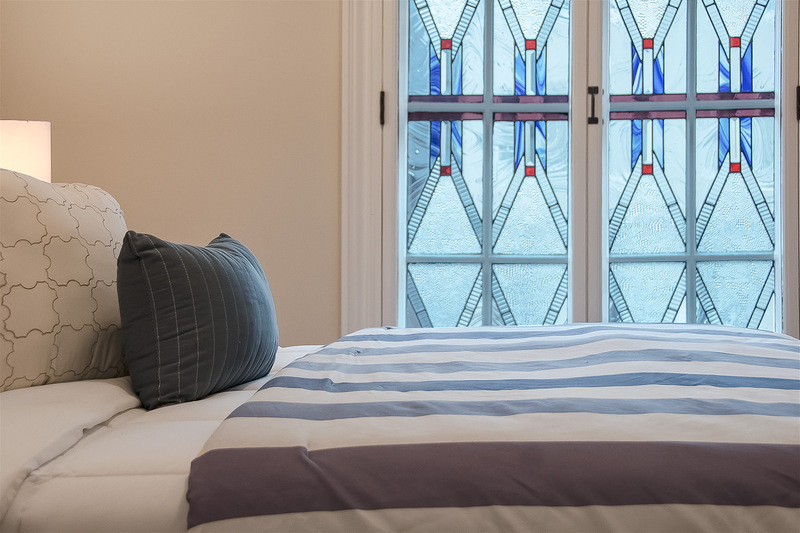 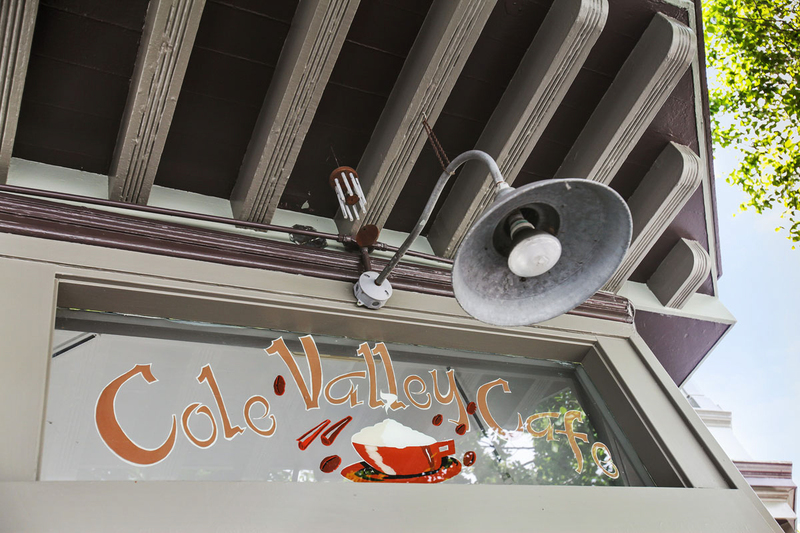 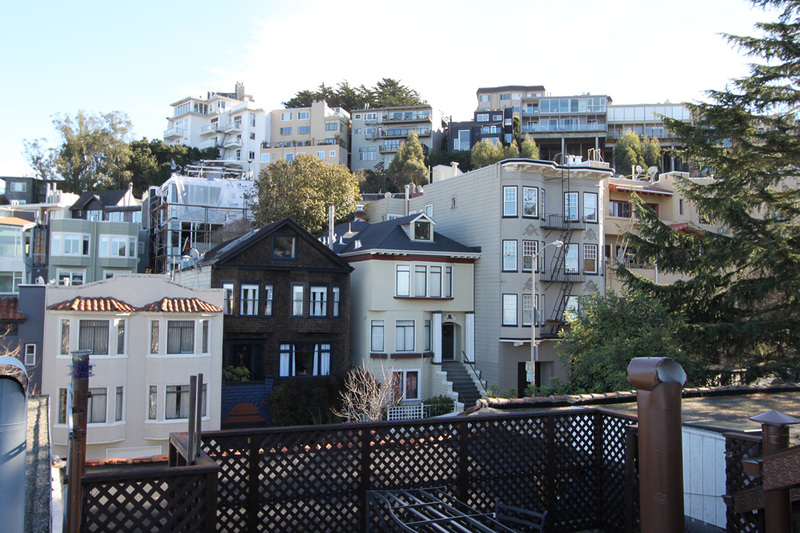 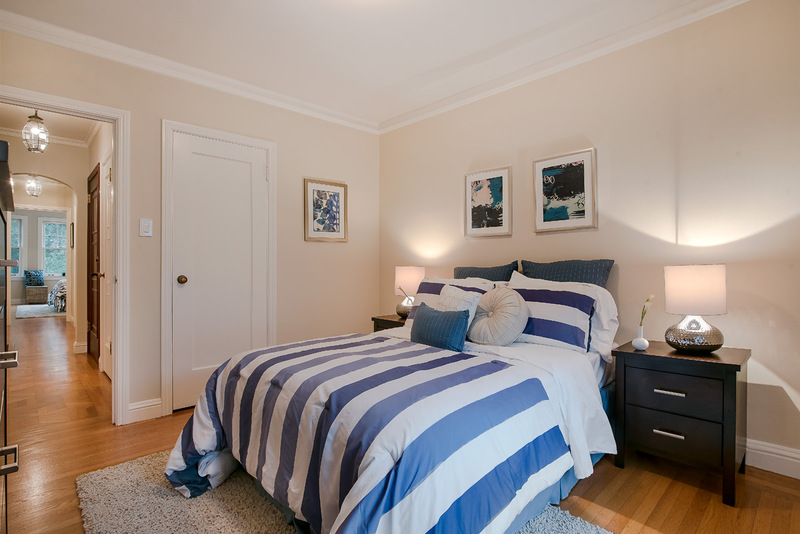 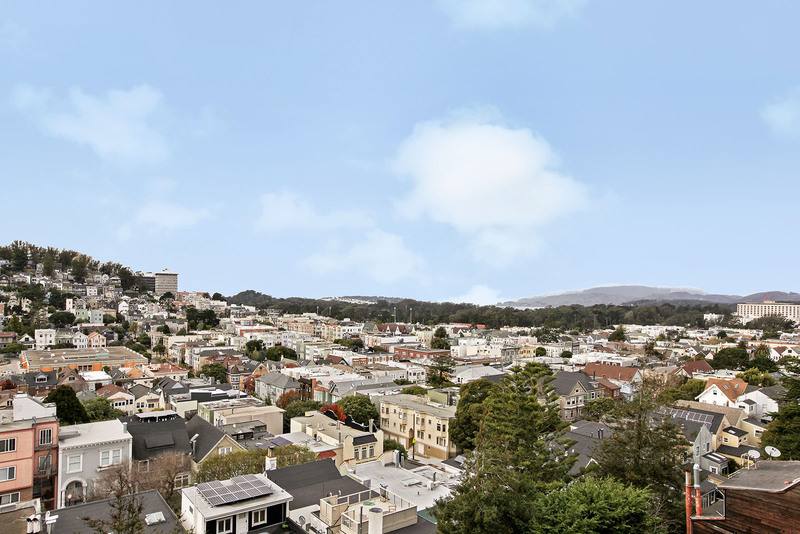 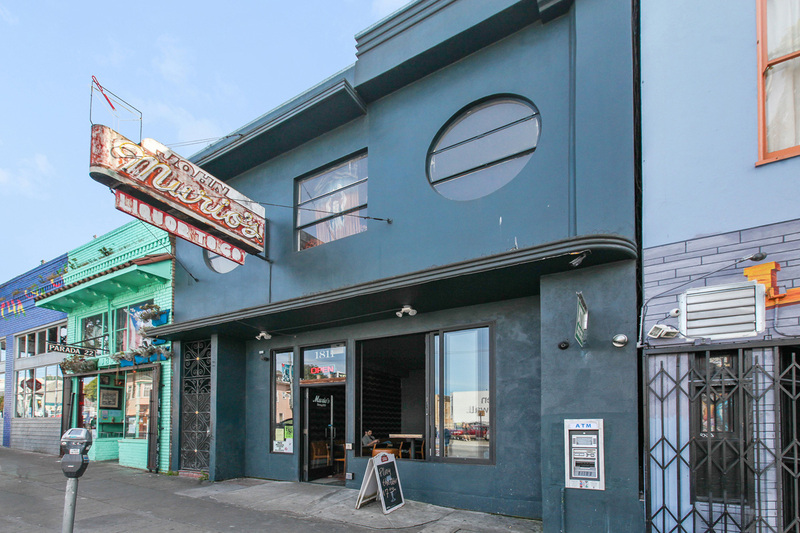 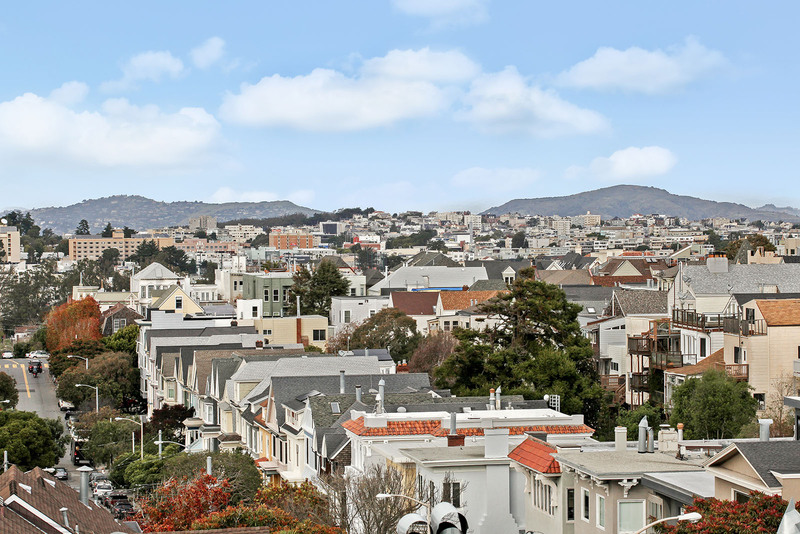 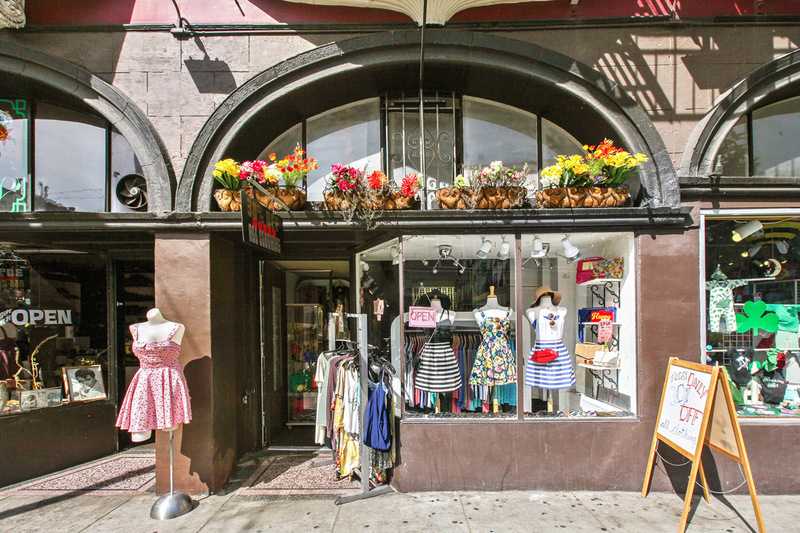 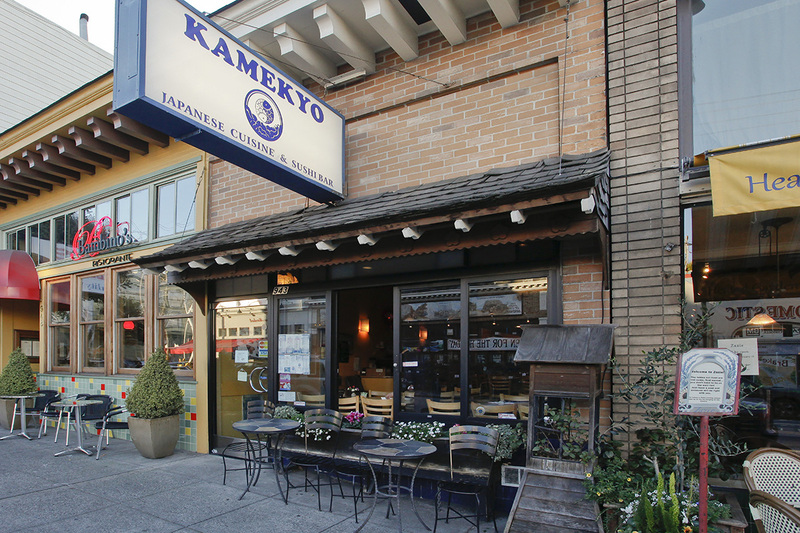 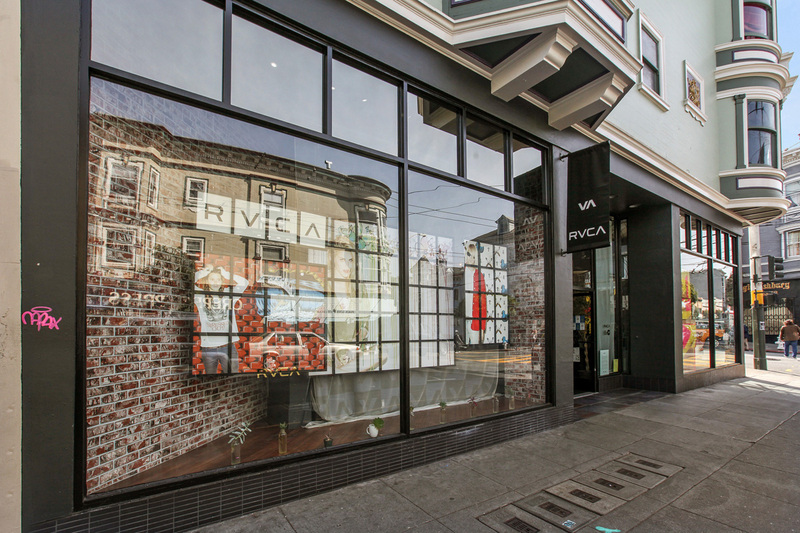 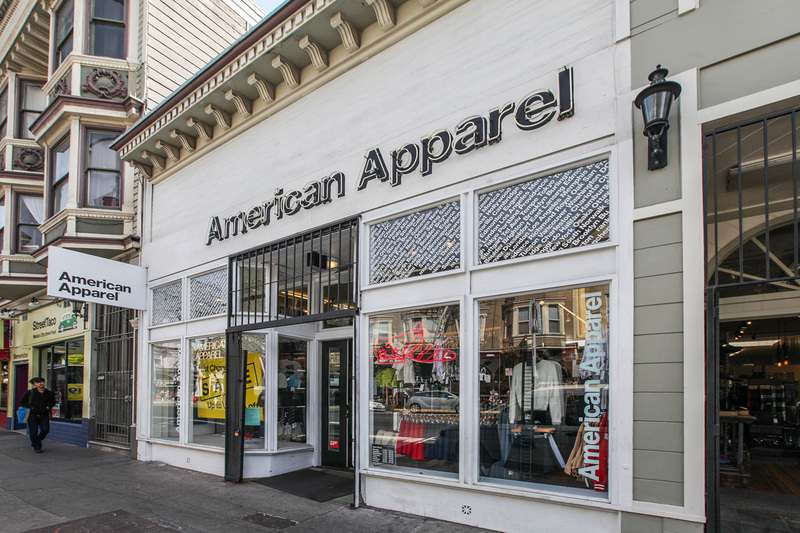 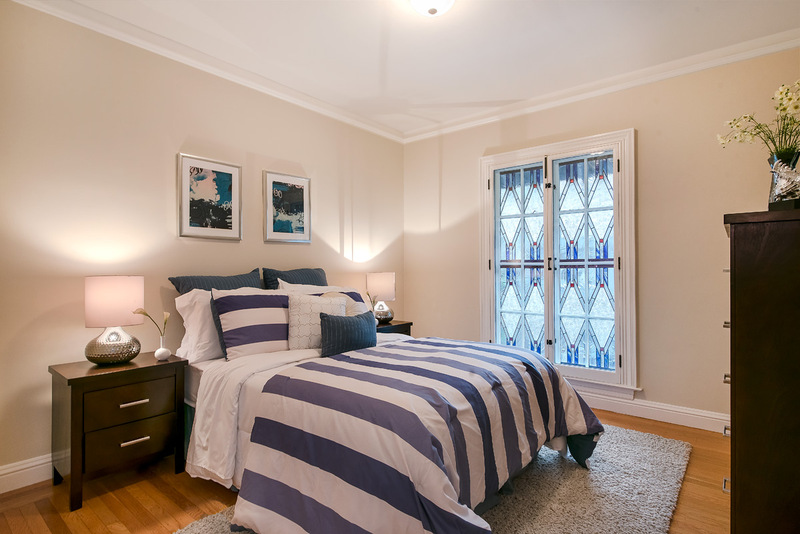 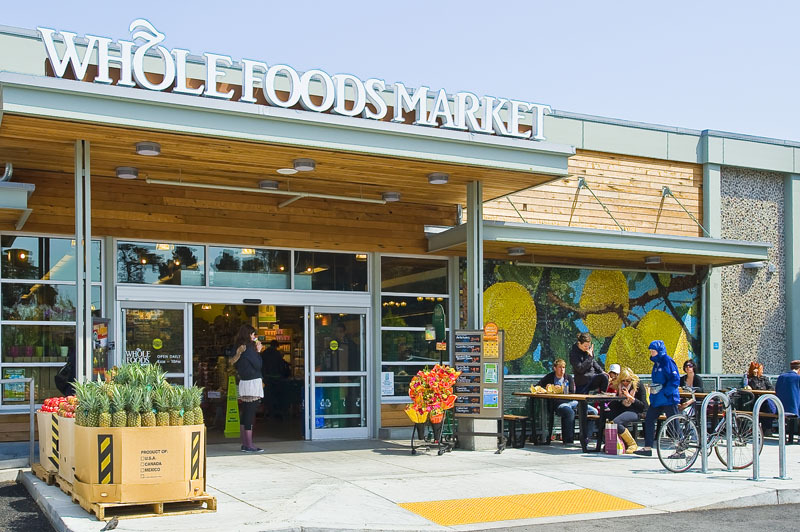 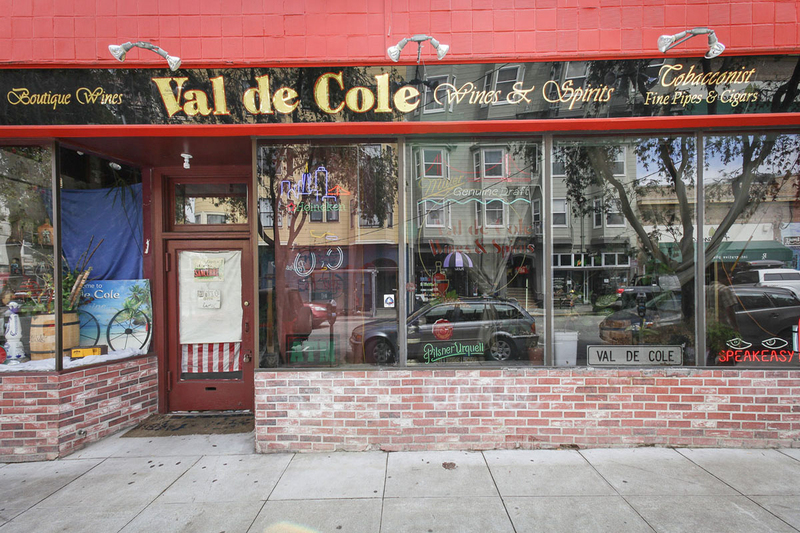 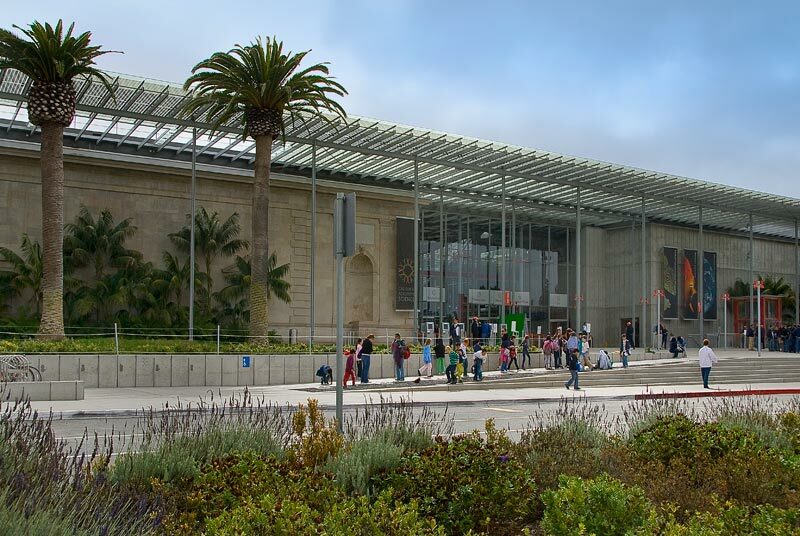 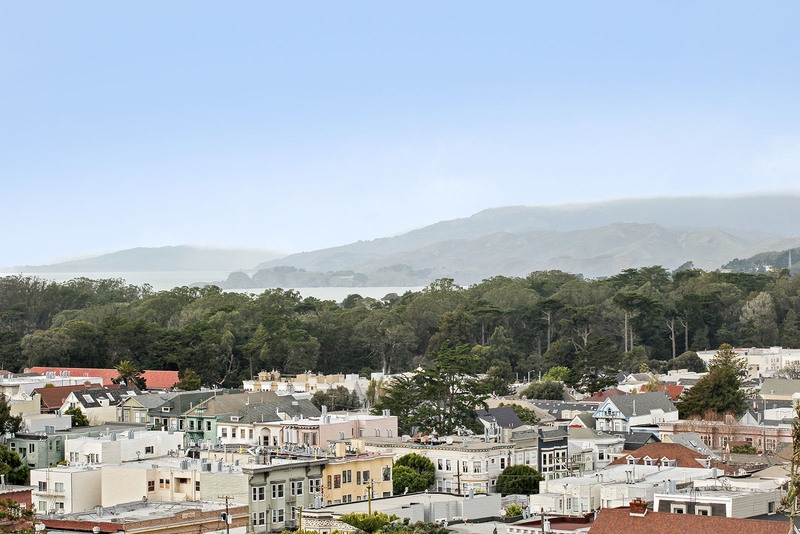 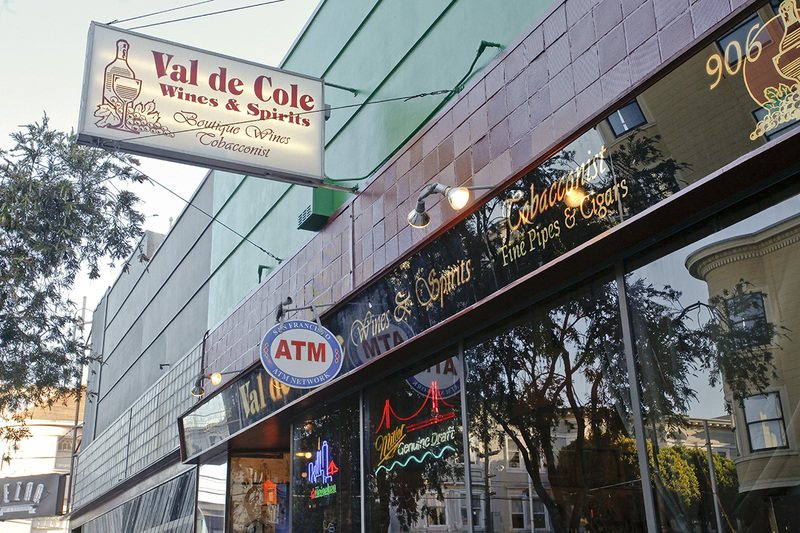 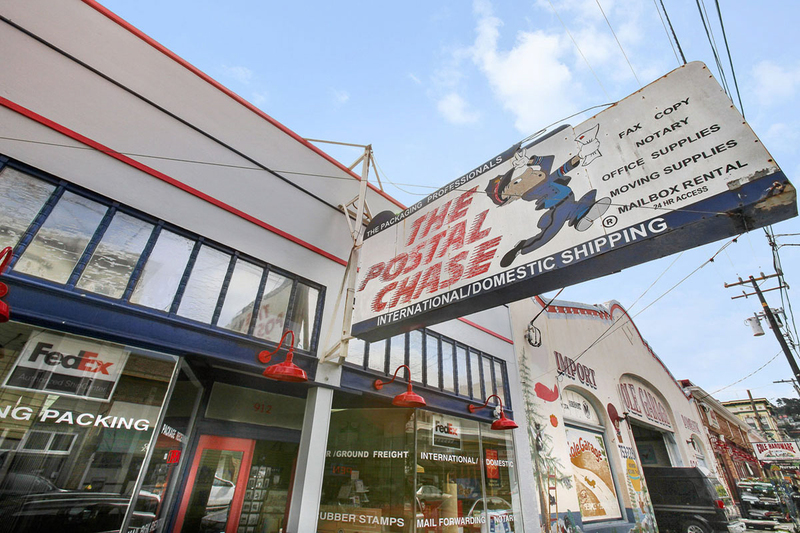 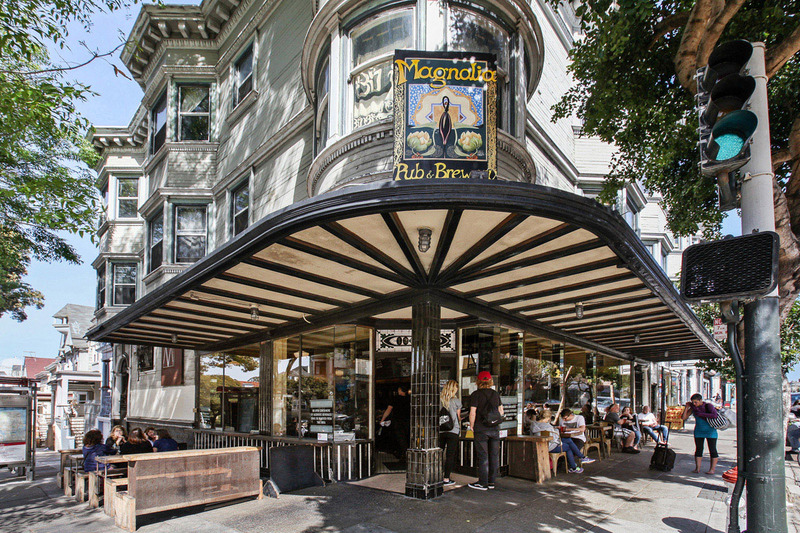 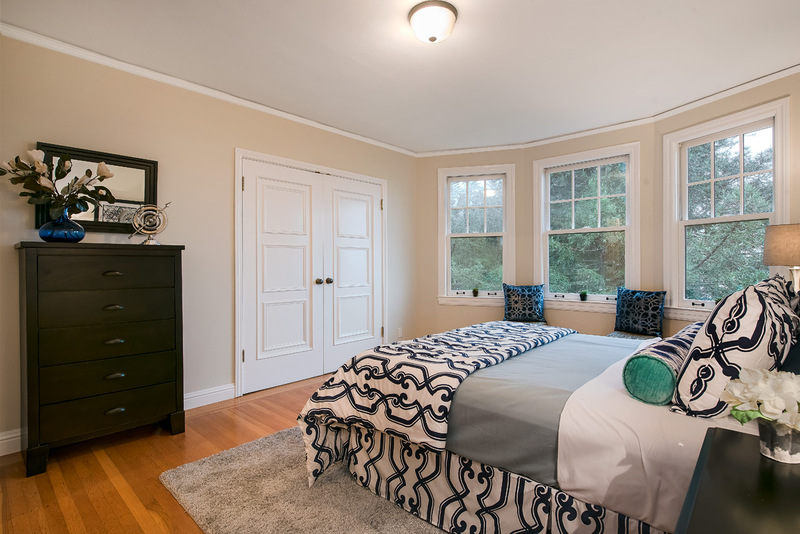 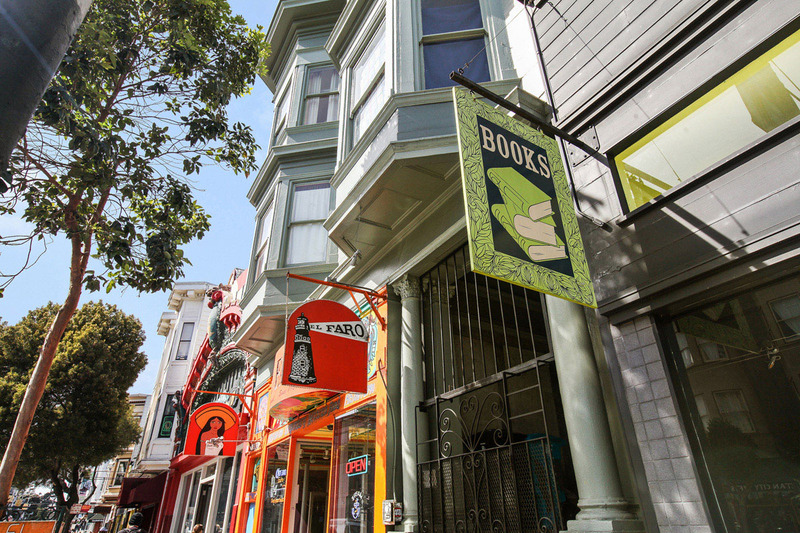 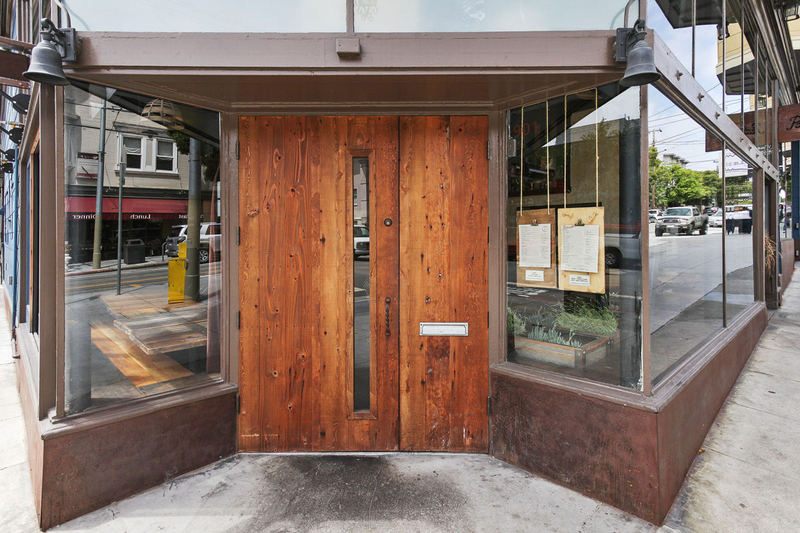 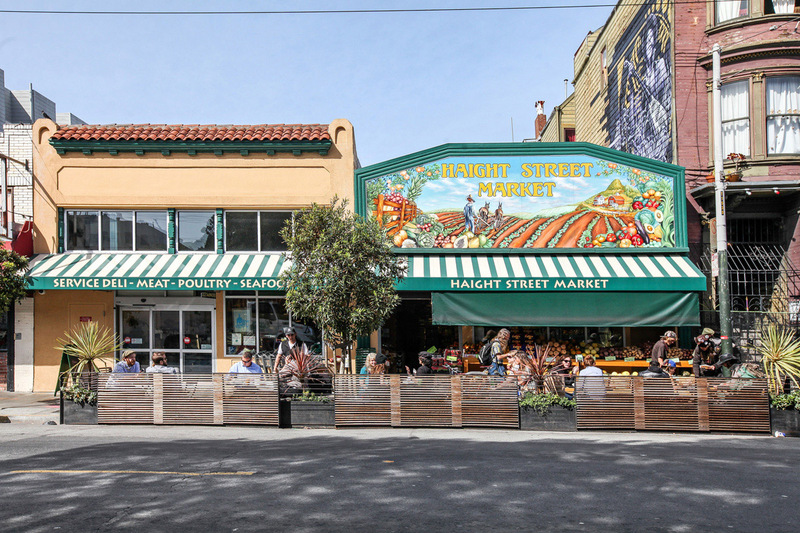 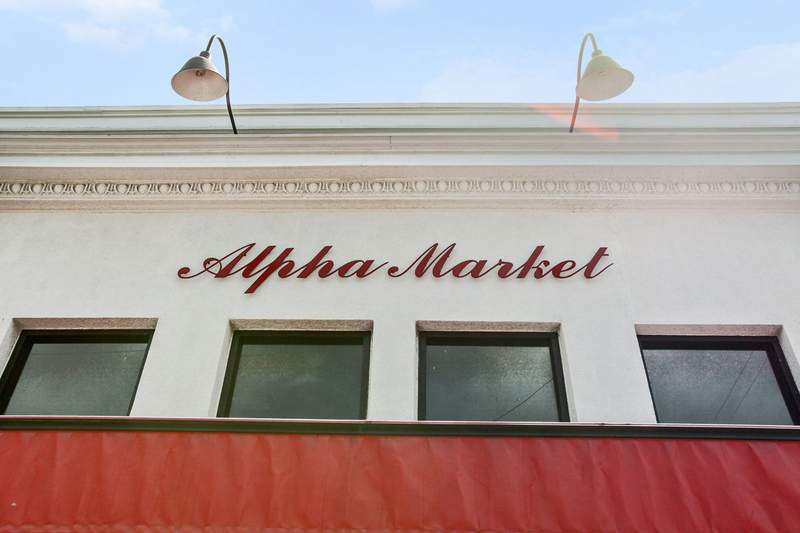 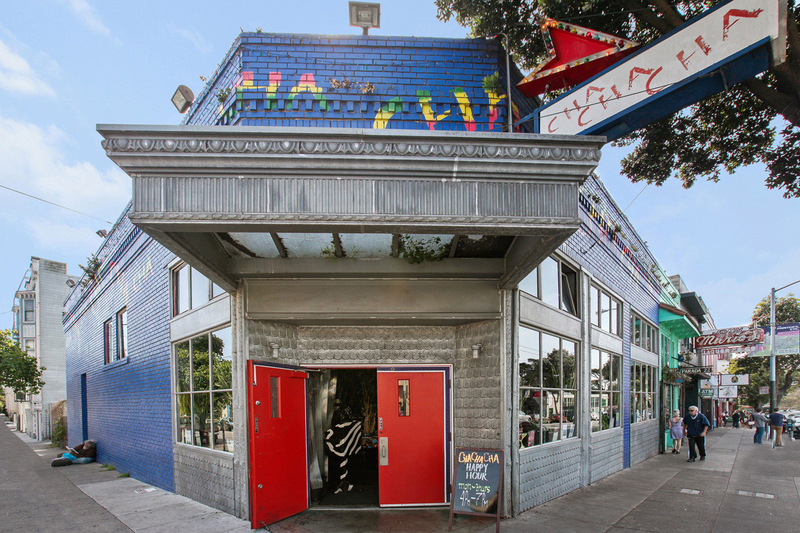 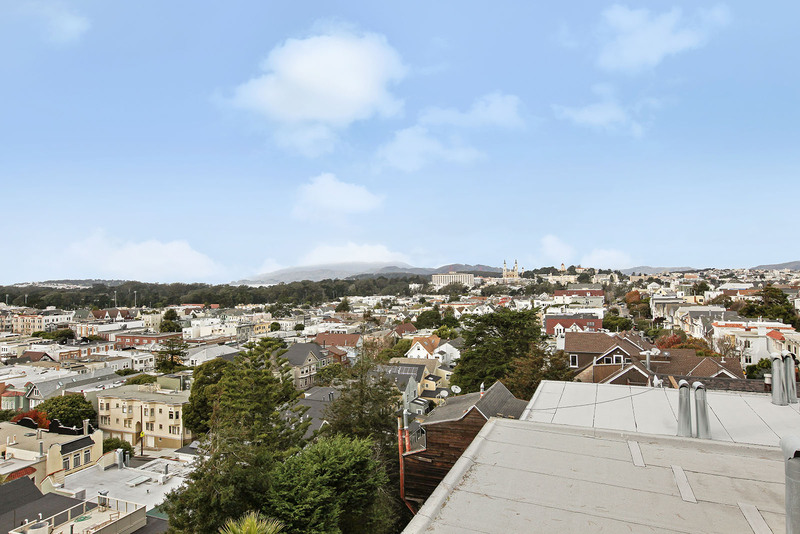 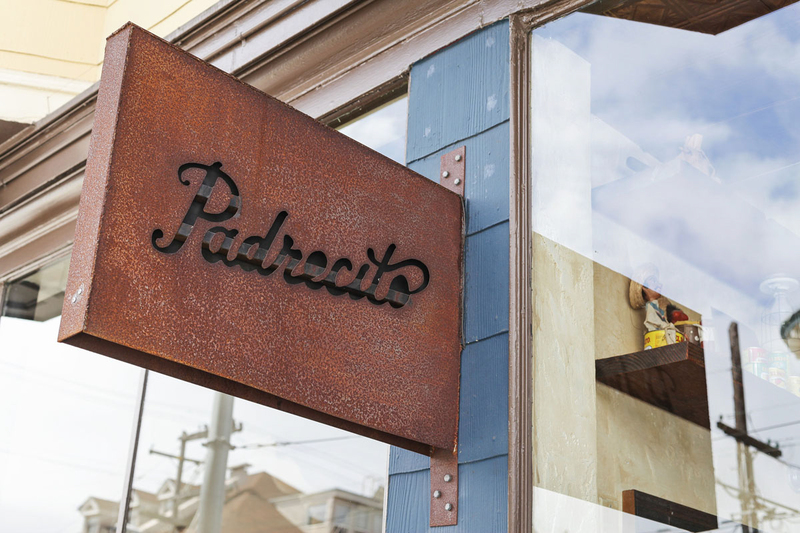 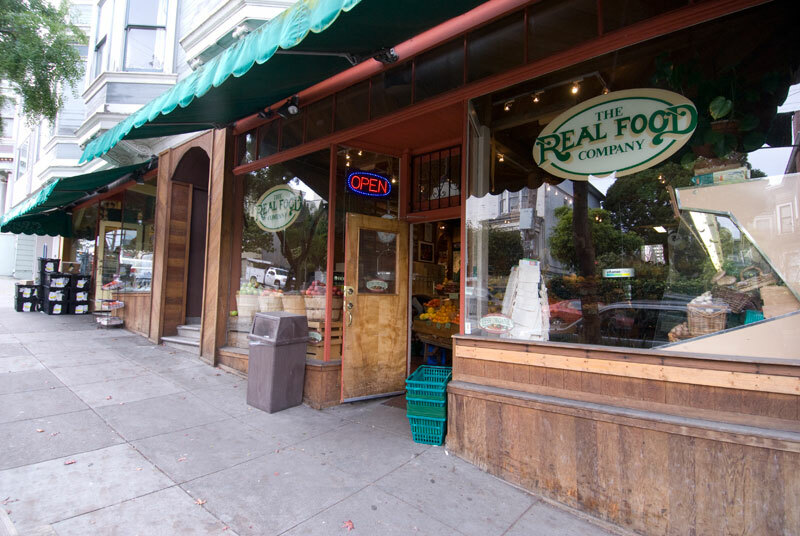 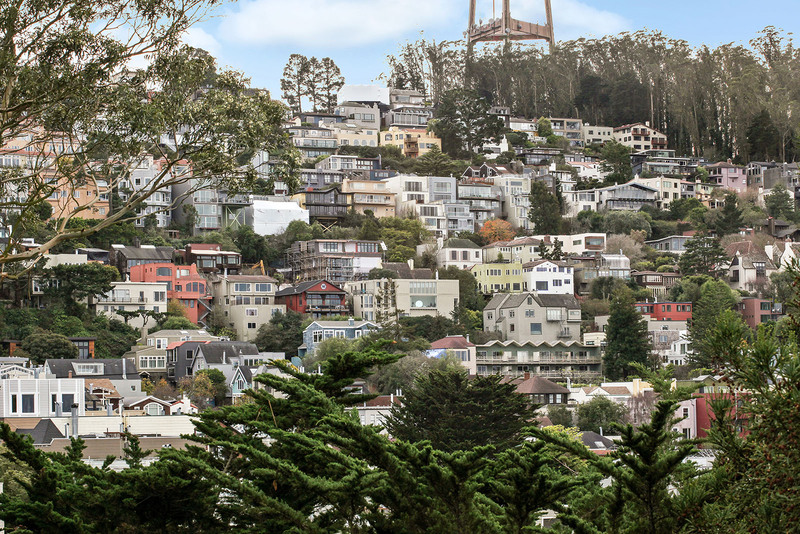 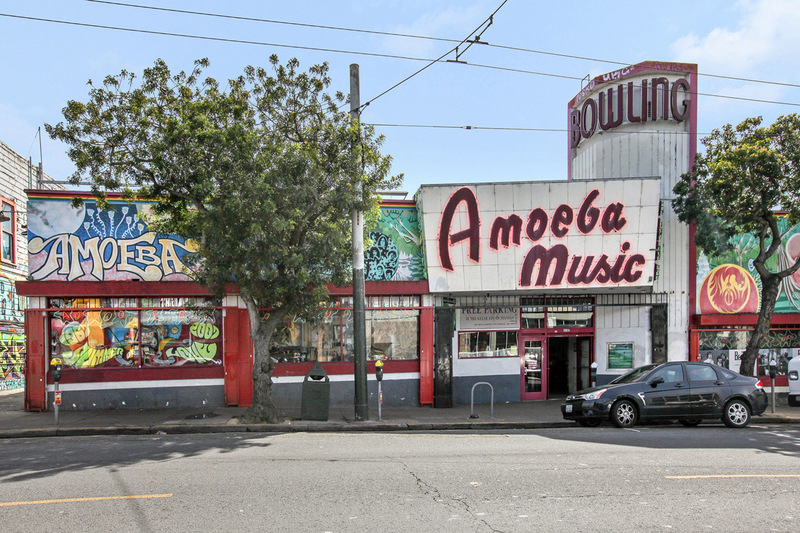 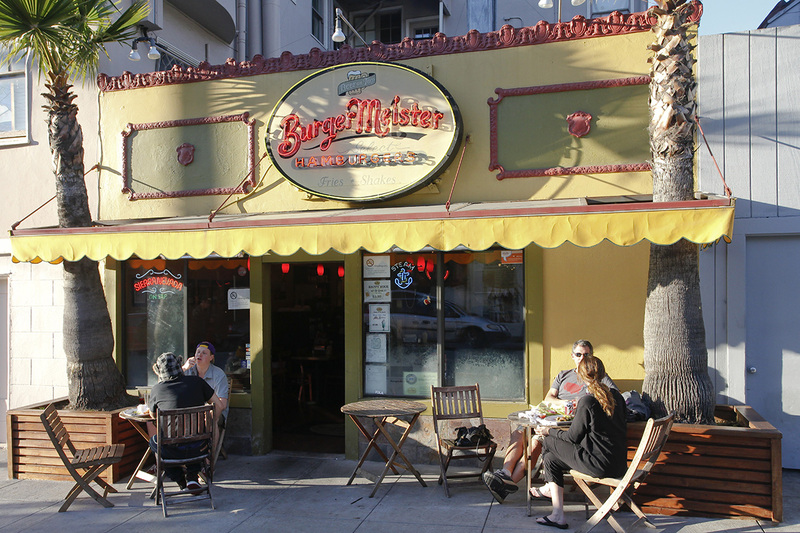 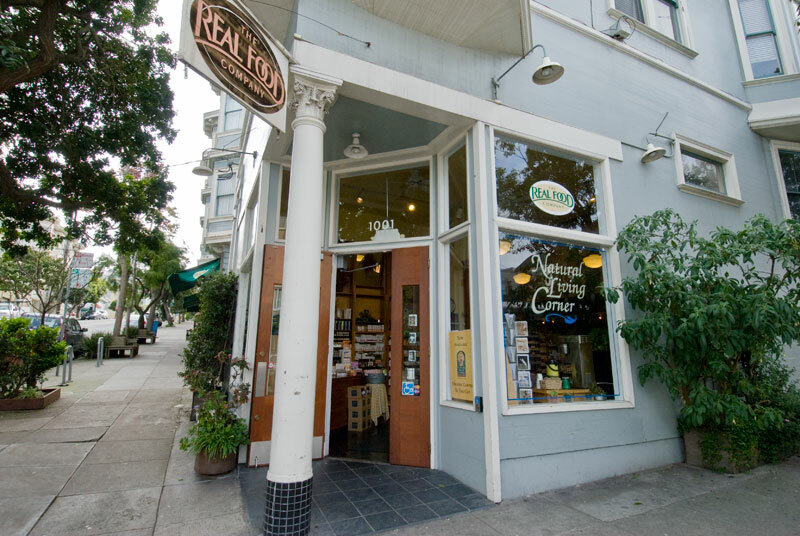 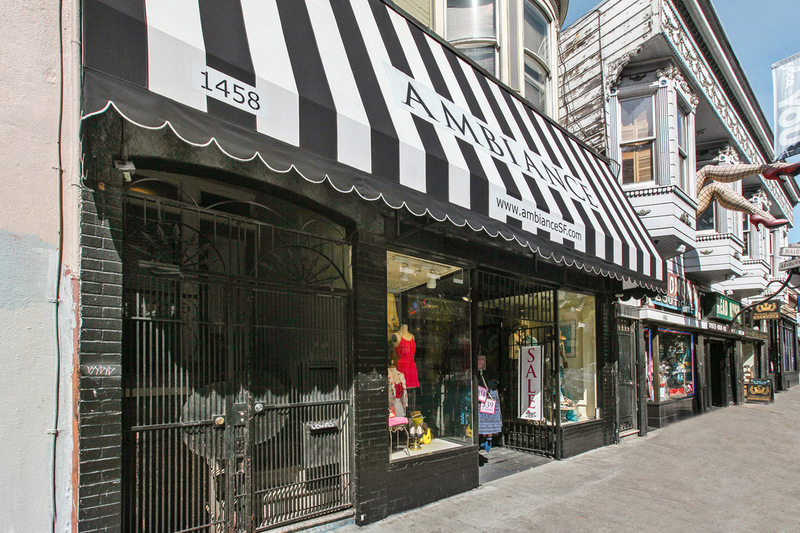 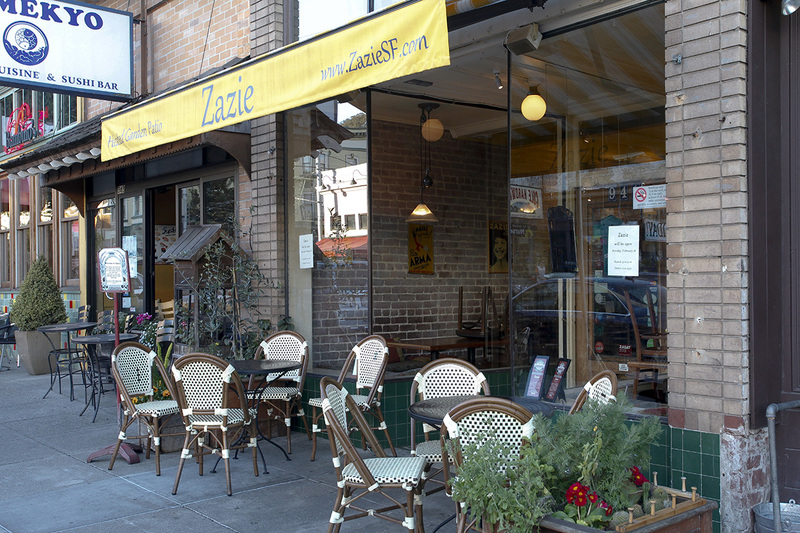 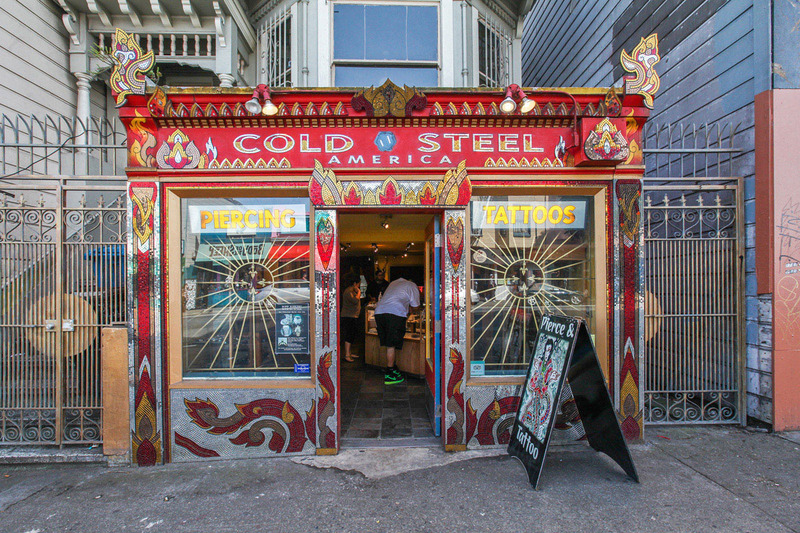 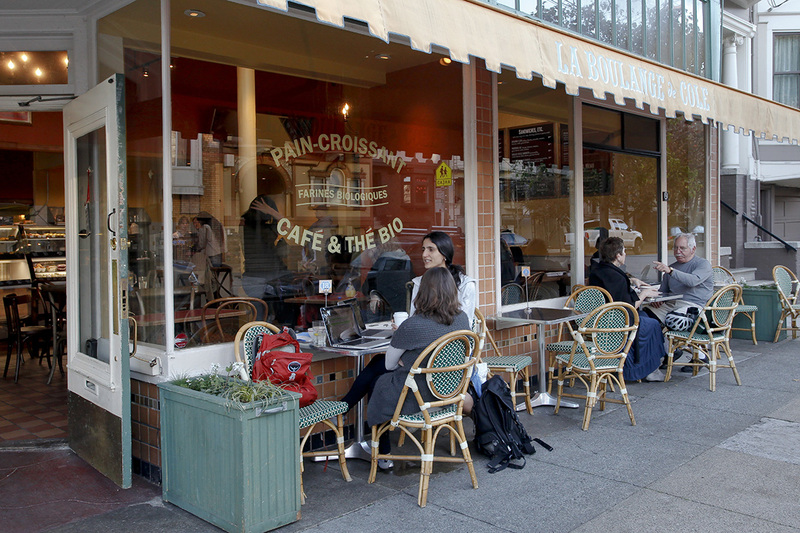 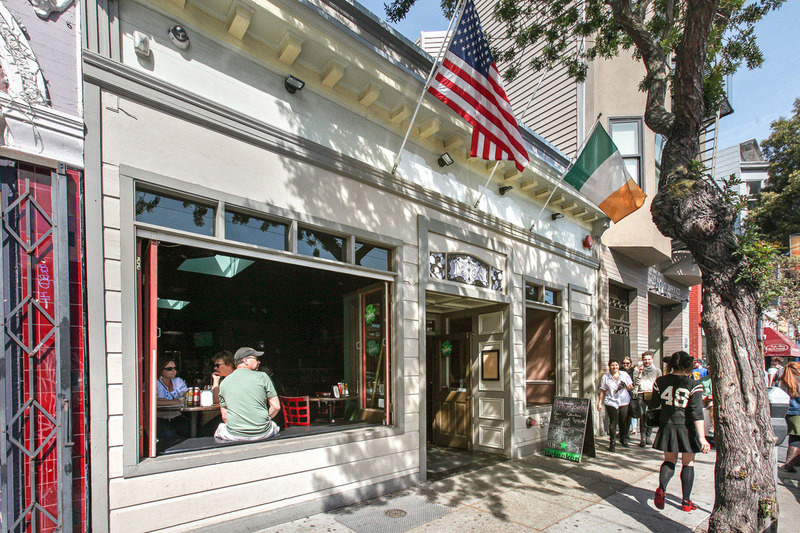 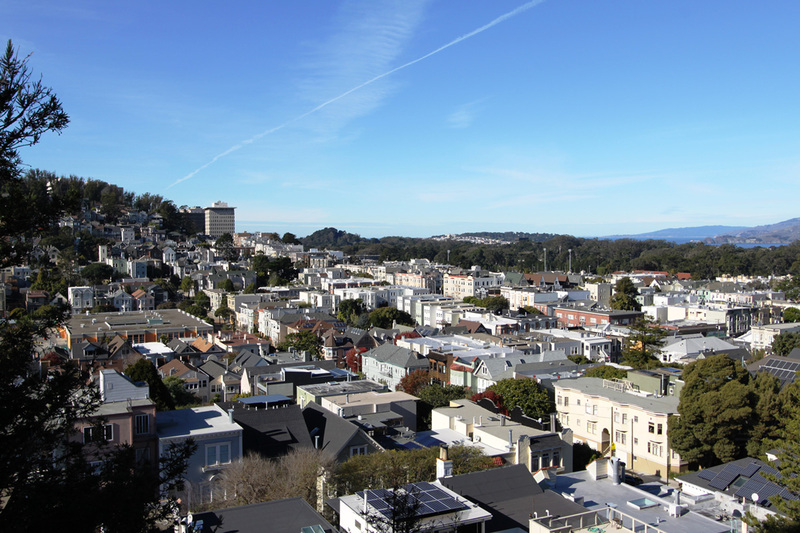 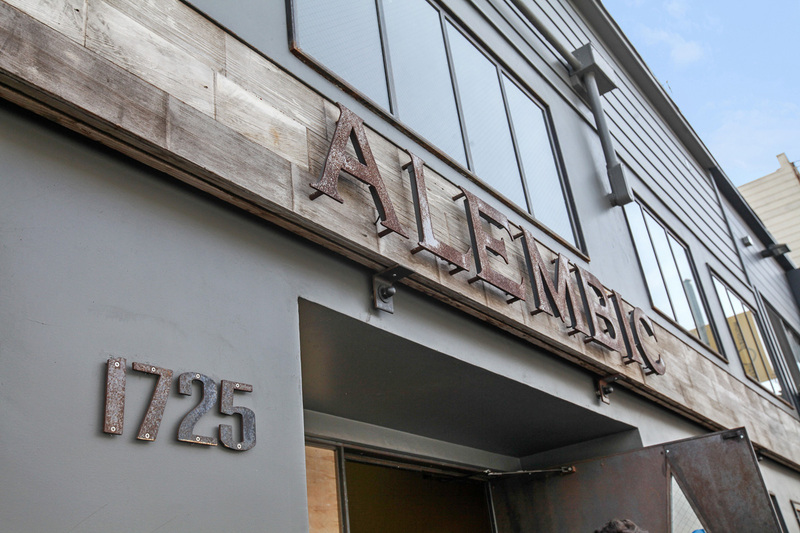 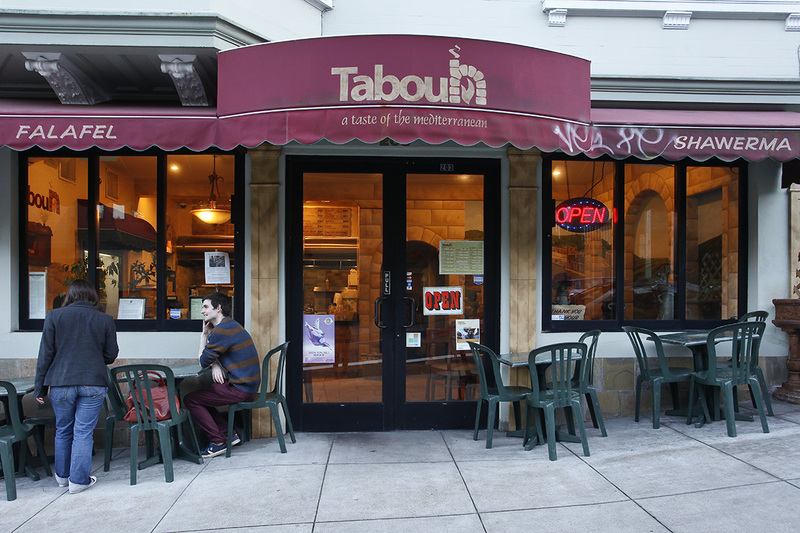 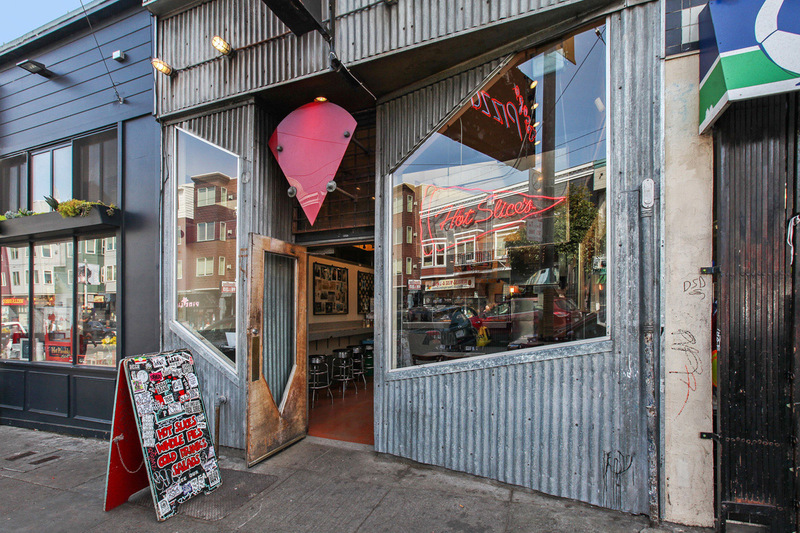 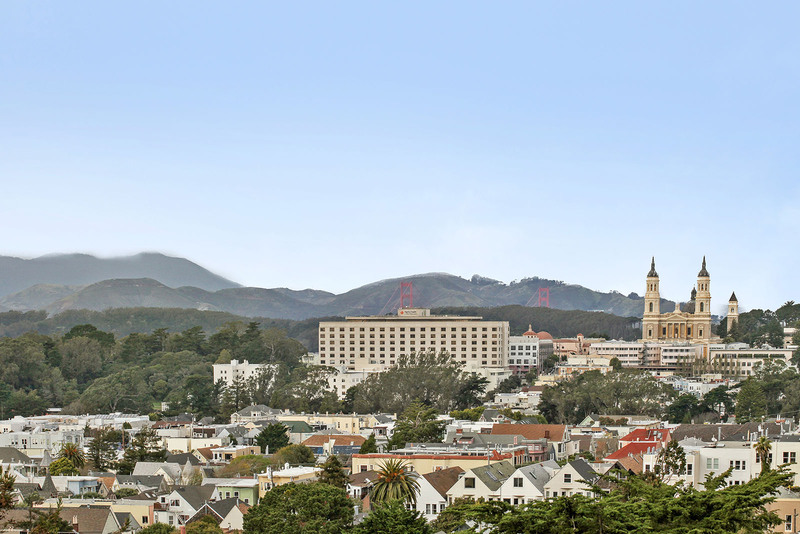 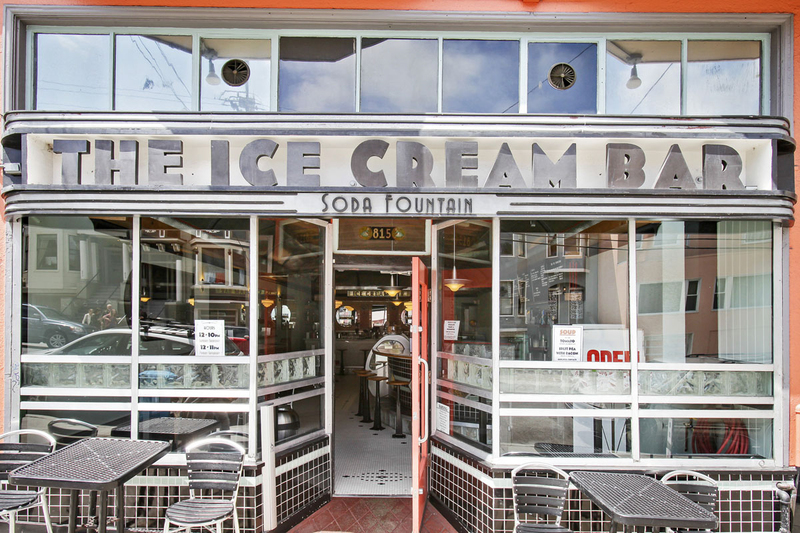 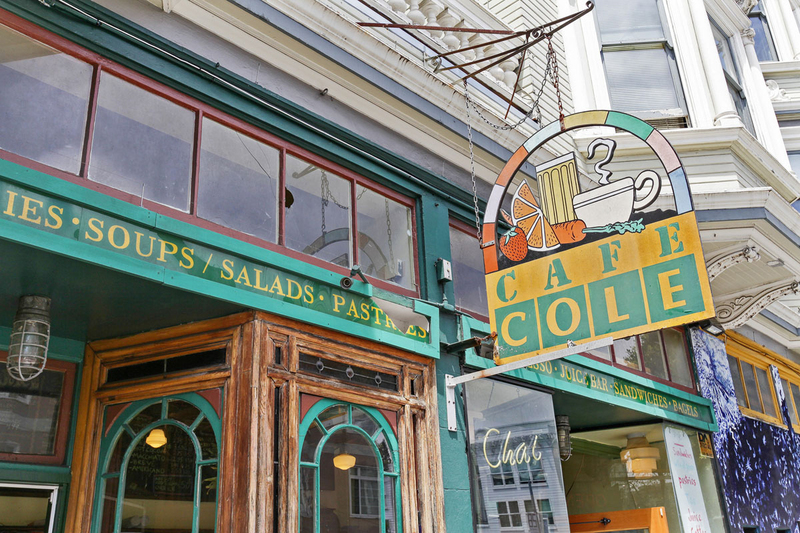 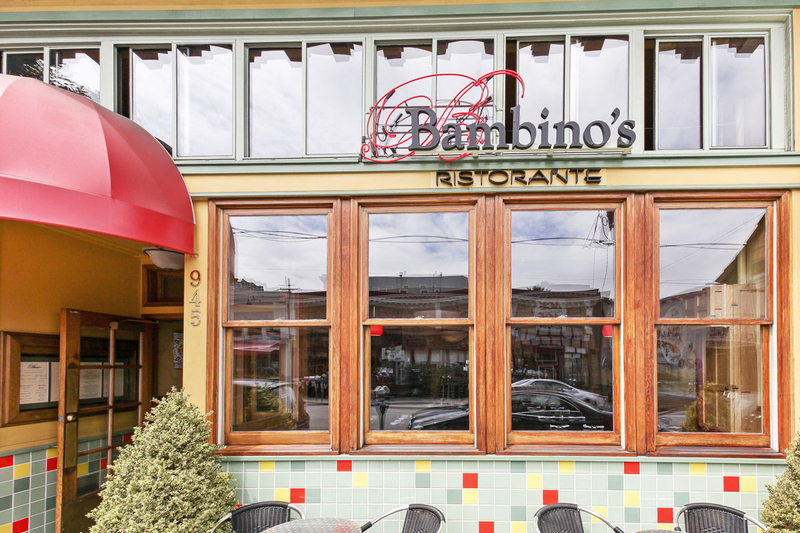 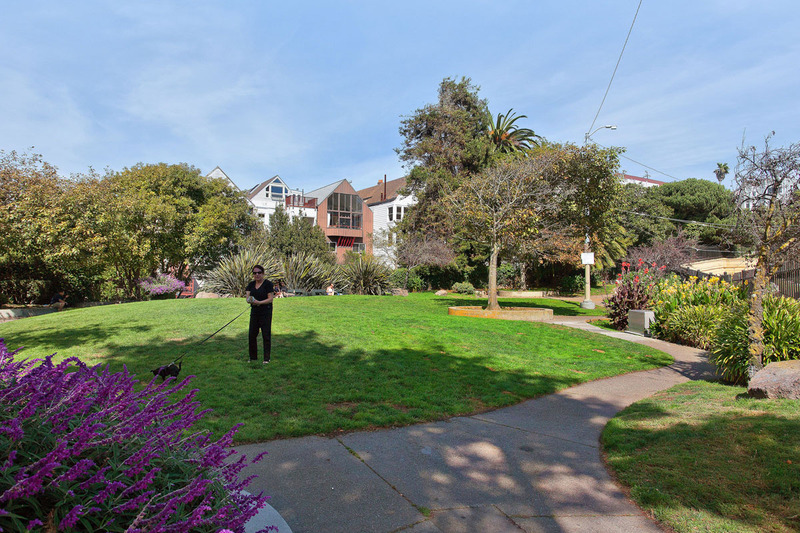 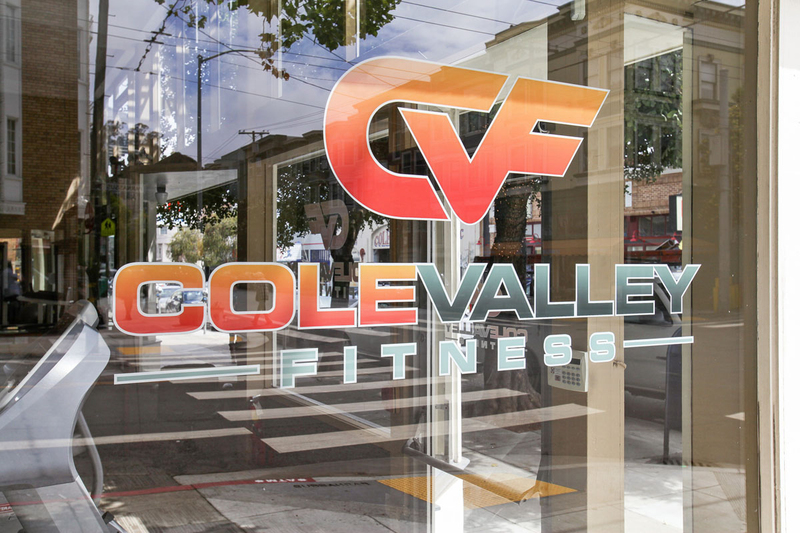 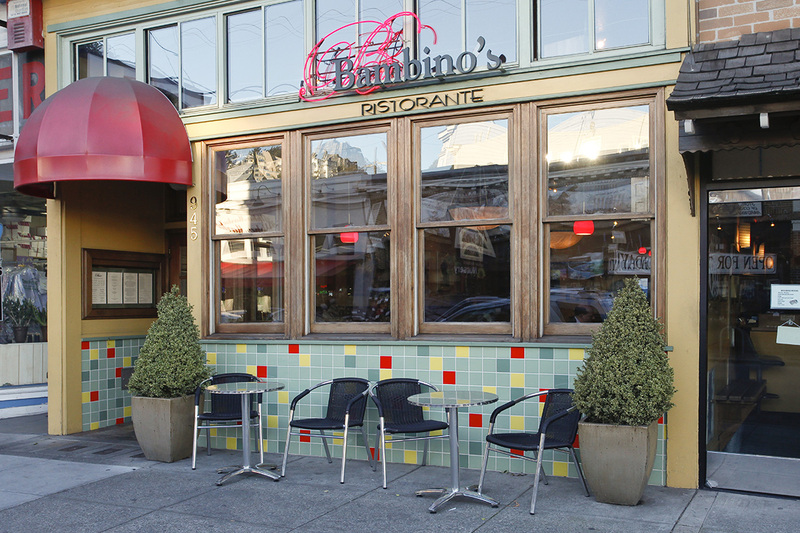 Walk to nearby Cole Valley & the Haight to enjoy top rated restaurants, cafes, and shops. 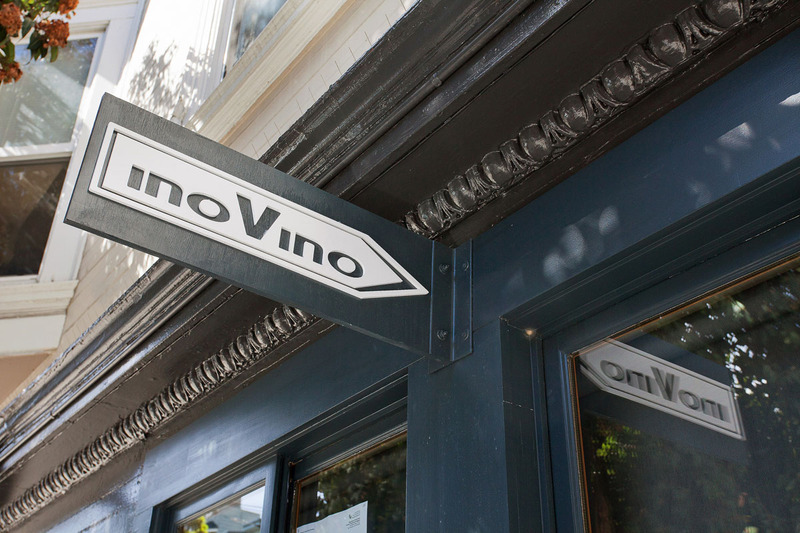 Public transportation options close by. 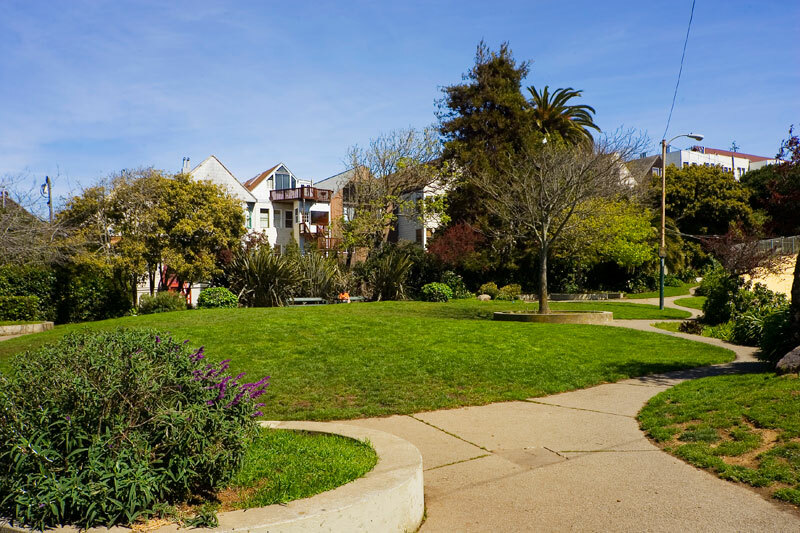 Just above the Parnassus and Ashbury Heights neighborhood rises the slopes of Buena Vista Park, a densely wooded 36-acre urban escape in the center of the city. 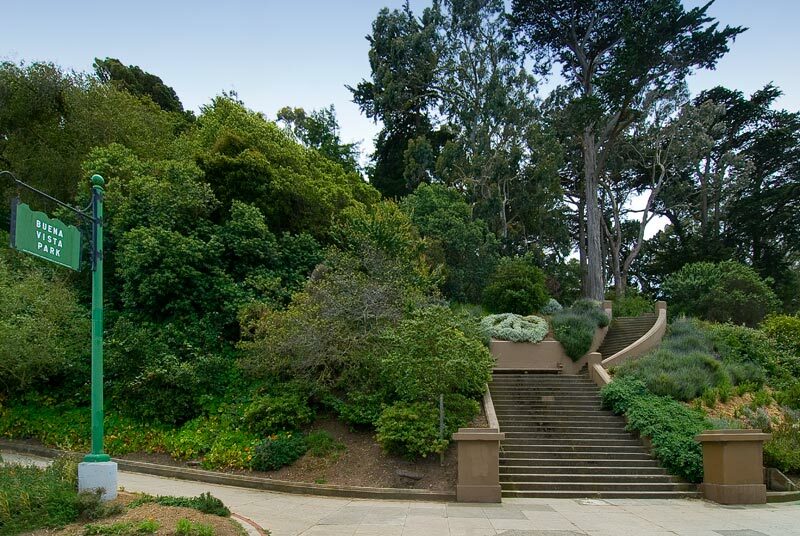 Climb the stairs at Haight and Baker and you'll rapidly ascend to fantastic views of the city, the Golden Gate Bridge, and Angel Island. 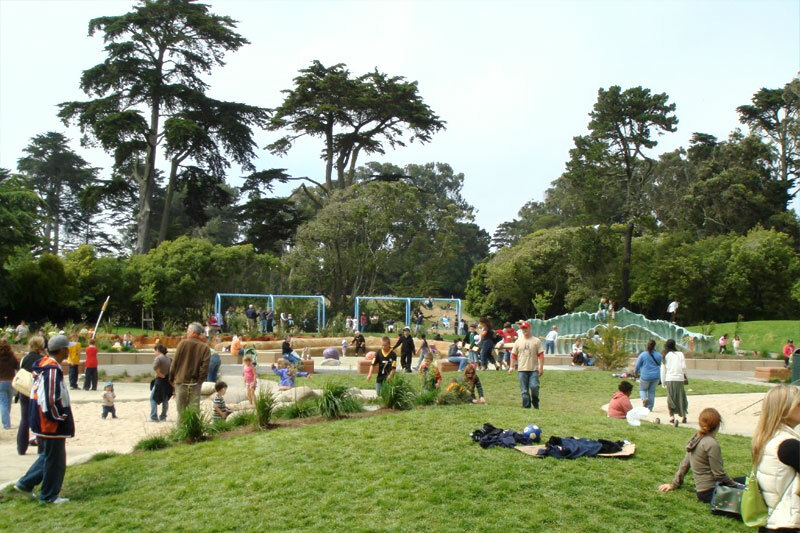 The local neighborhood association has done a fantastic job in making the park family friendly. 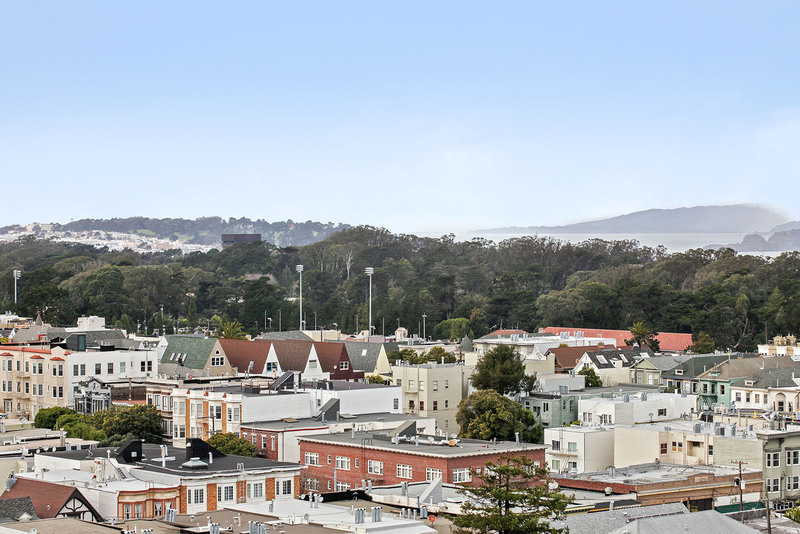 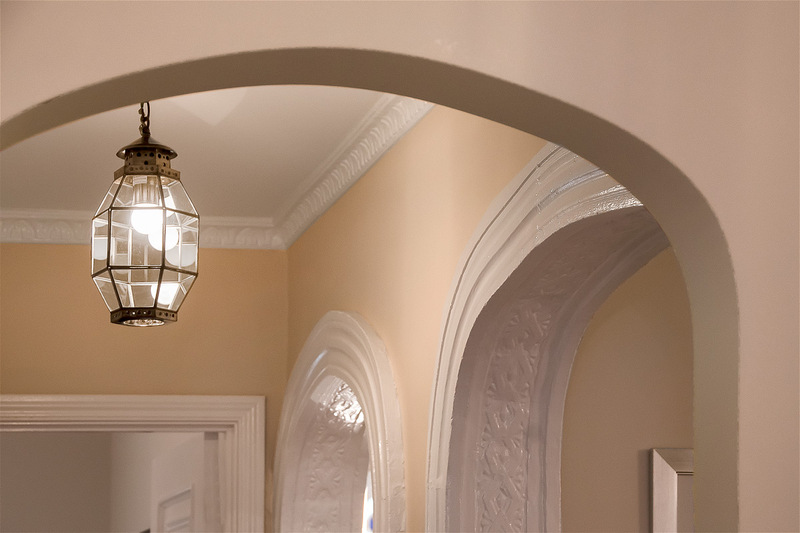 Buena Vista/Ashbury homes include fine examples of grand Victorians, colonial revival, restored carriage houses, shingled Tudors, and Queen Anne towers, boasting ornate scroll work, onion domes and stained glass windows. 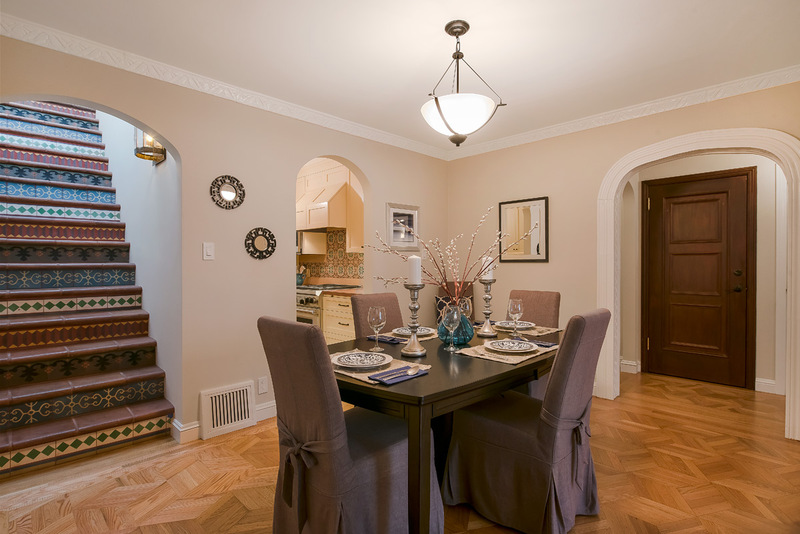 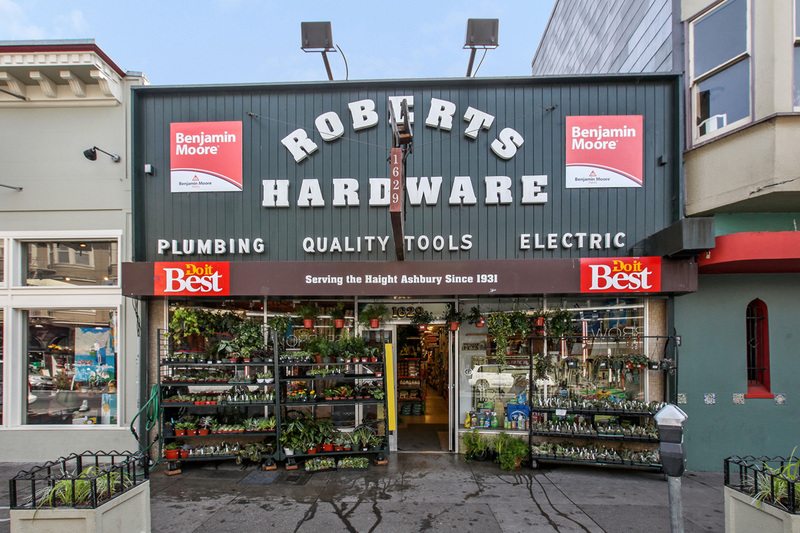 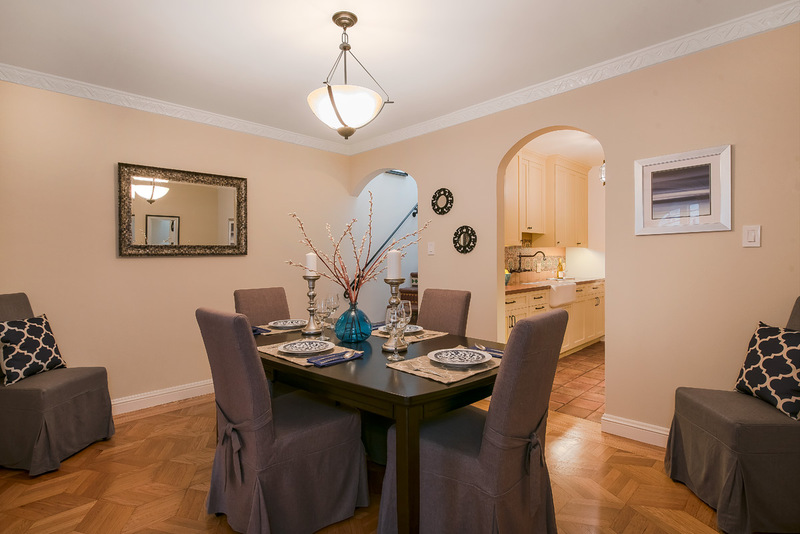 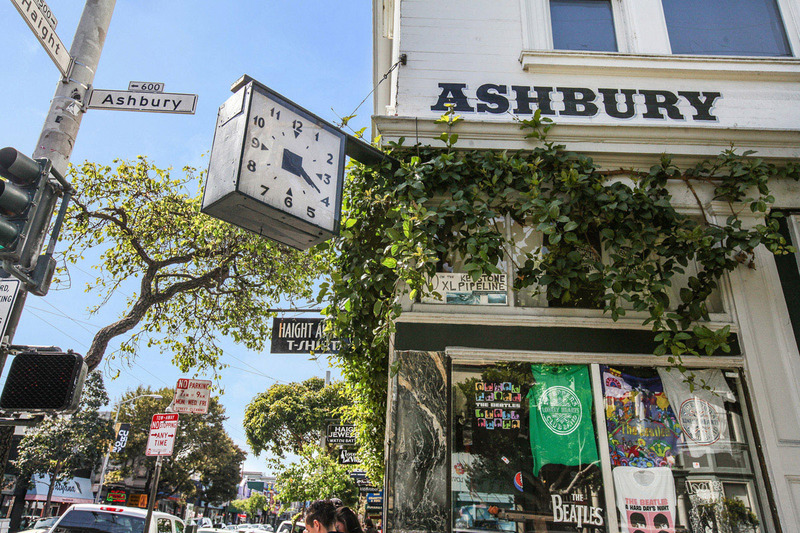 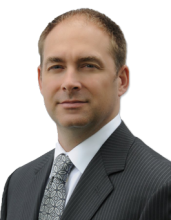 Parnassus/Ashbury Heights neighborhood is primarily residential, full of young families and professionals. 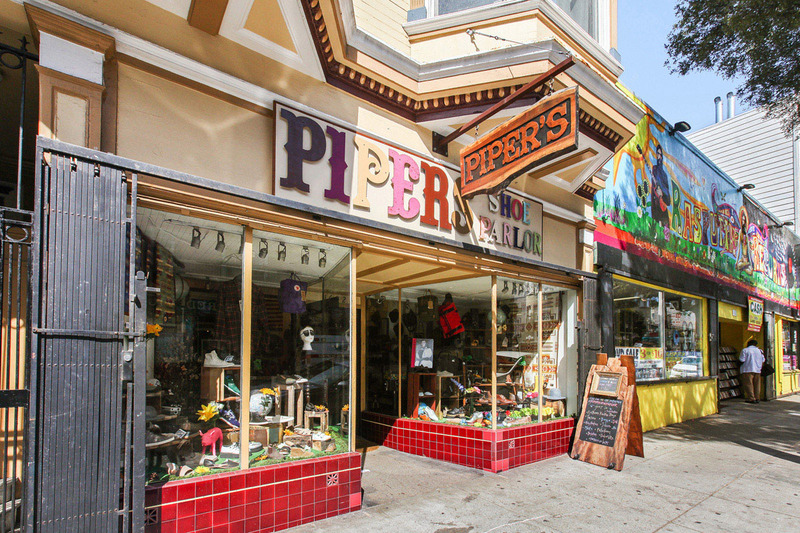 On Halloween, the best block party for five year olds in San Francisco can be found on Belvedere Street, which closes to traffic and attracts thousands of kids and their families. 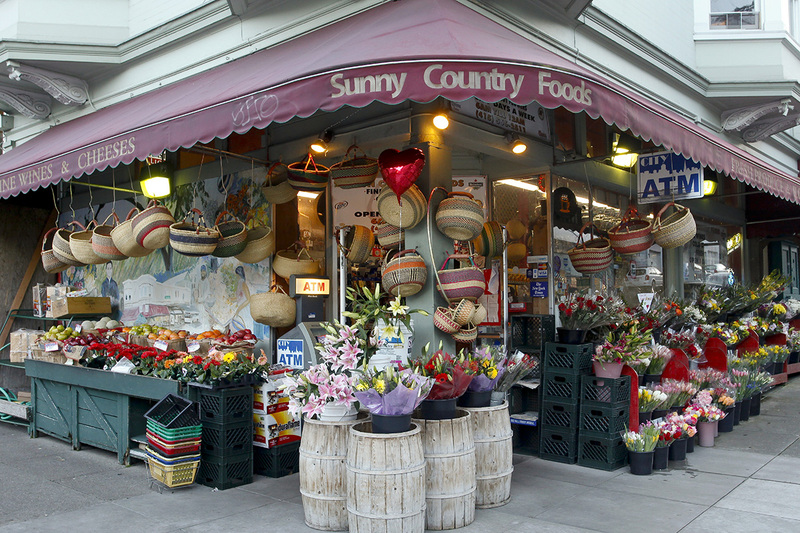 Entire blocks are decorated. 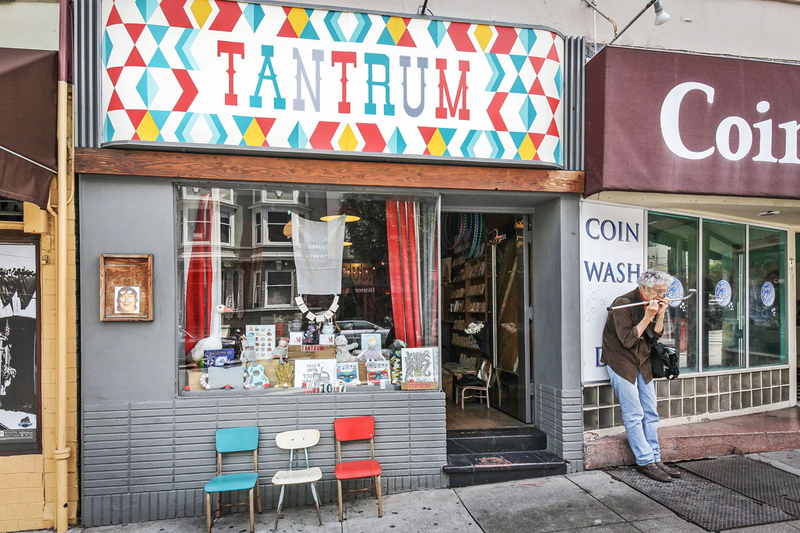 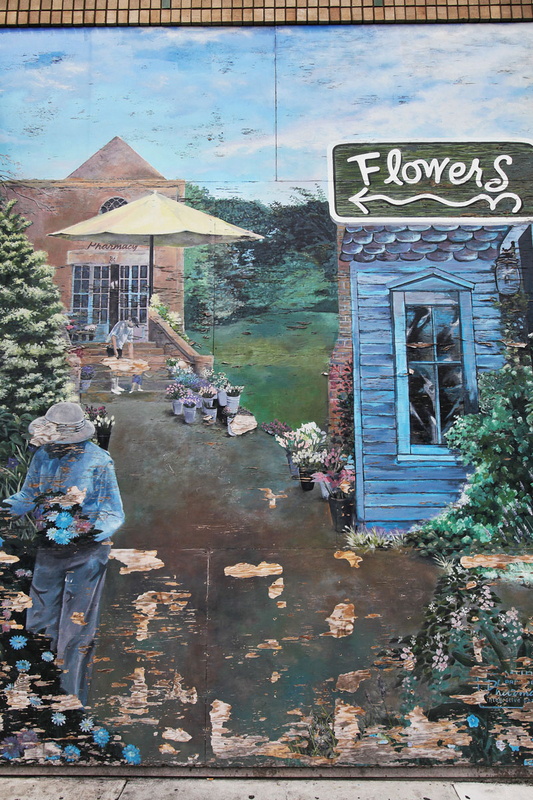 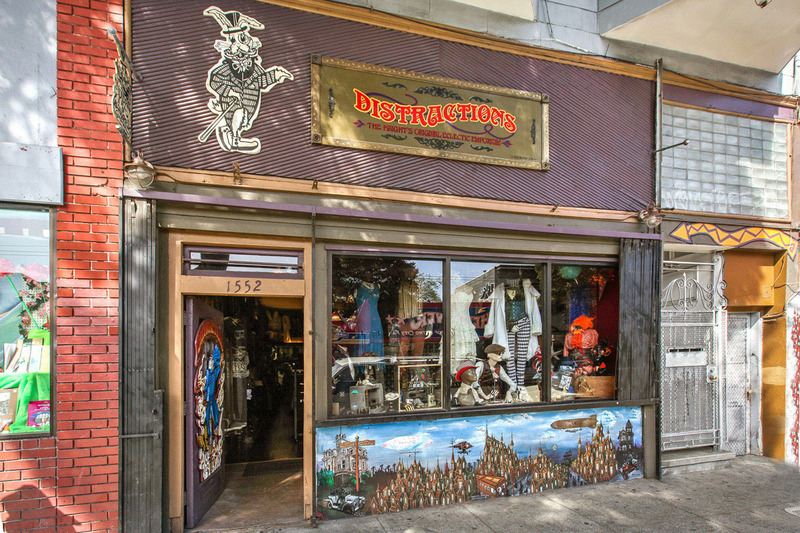 Most residents shop and dine downhill along nearby Cole Street in Cole Valley, the small markets on Parnassus, and the Haight. 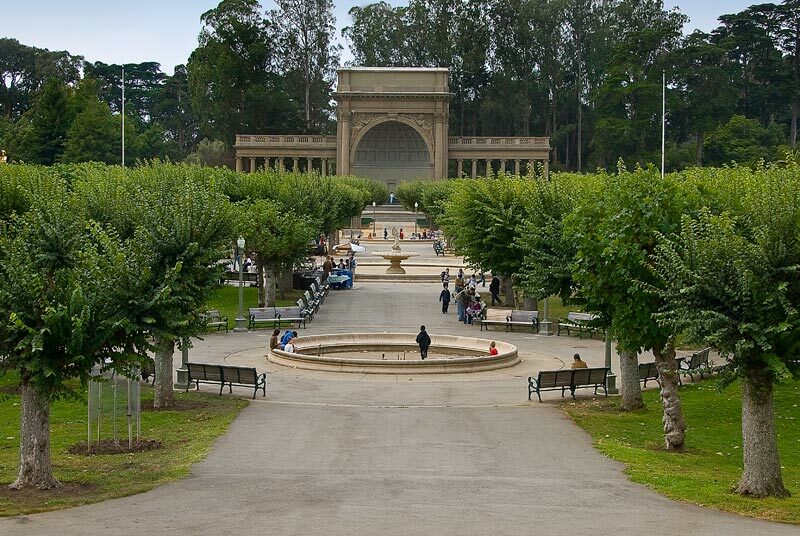 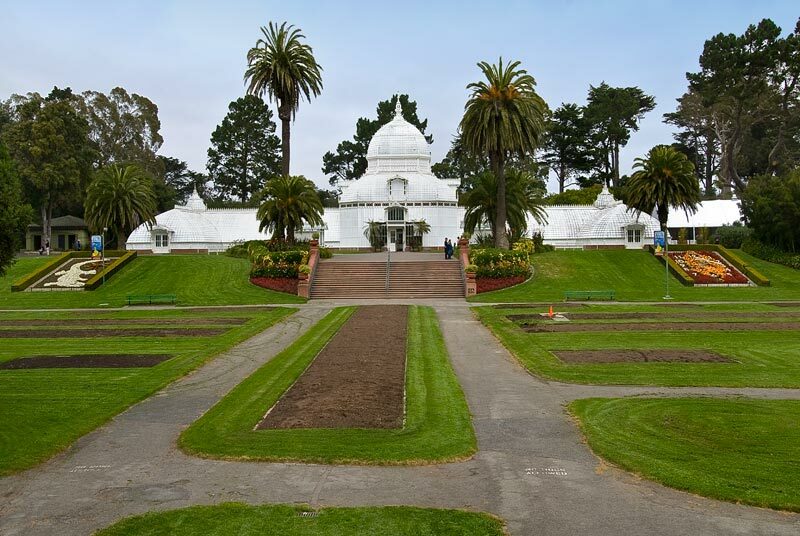 Golden Gate Park is a short walk away. 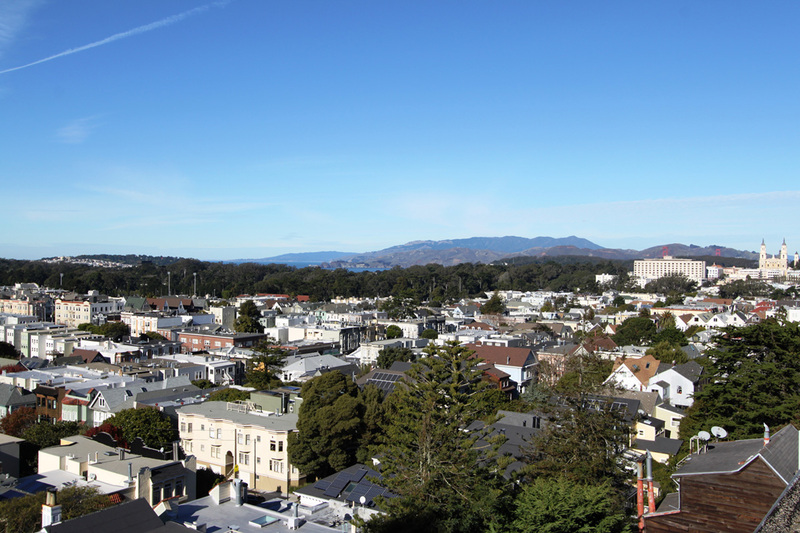 Access to public transportation is excellent. 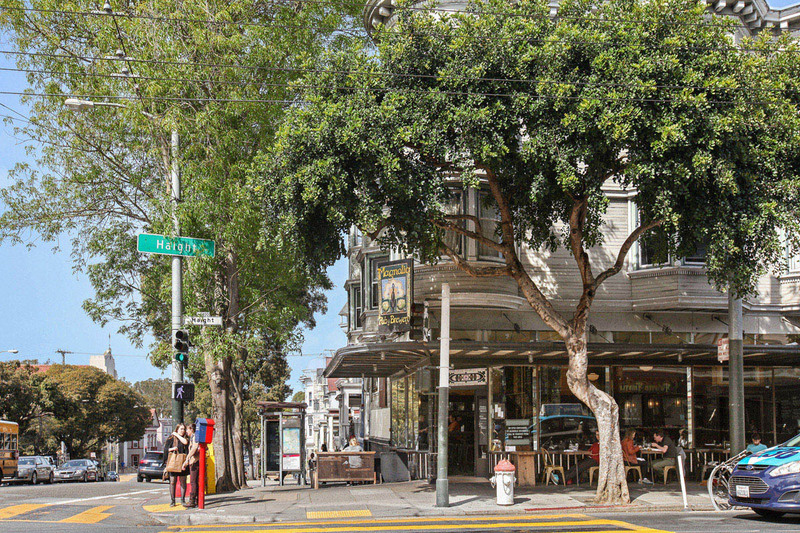 The 37 CORBETT bus stops on Buena Vista Avenue East, and offers connections to Market Street buses and trolleys. 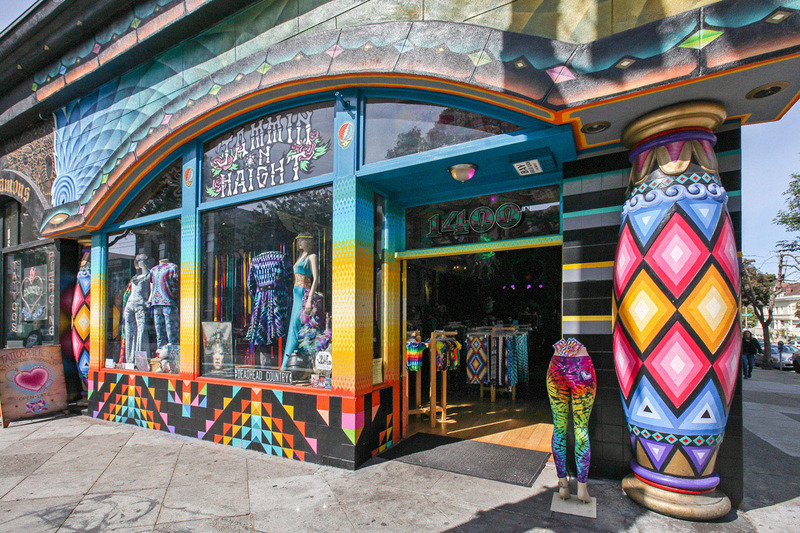 The 7 HAIGHT bus stops at Haight and Baker Streets, and travels downtown via Haight and Market Streets. 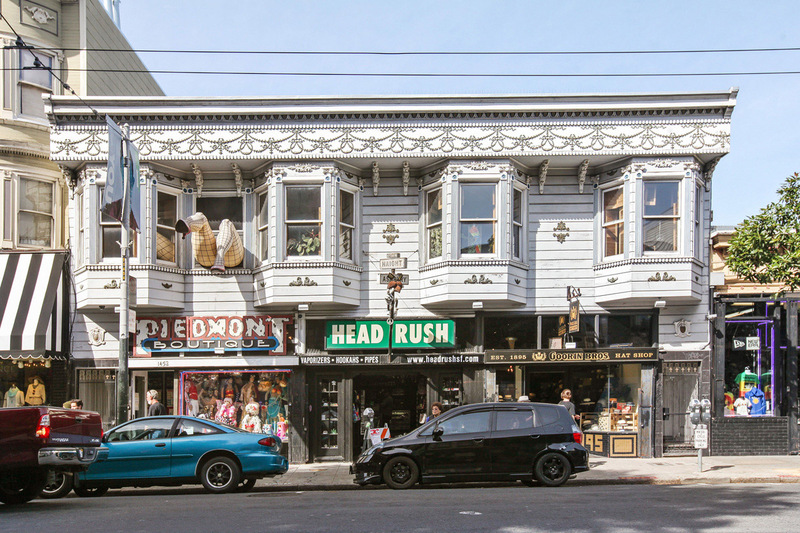 The N JUDAH trolley that connects Ocean Beach to downtown San Francisco stops at Carl and Cole, which makes commuting quick.